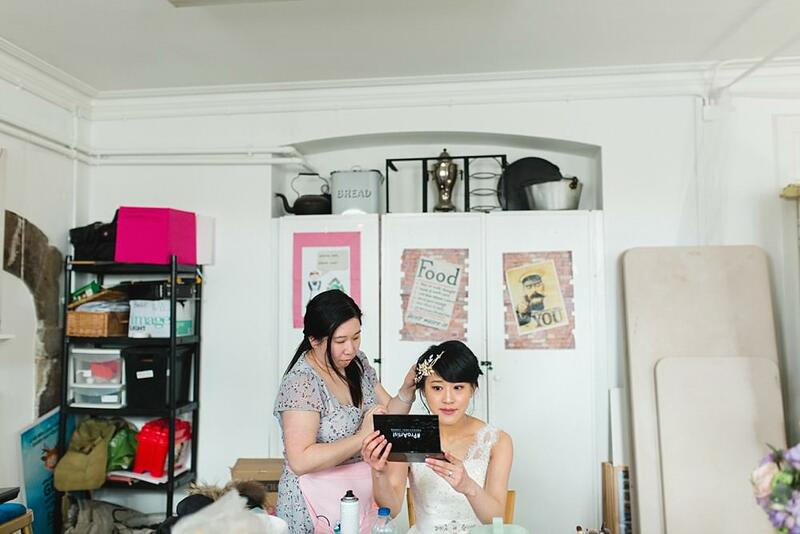 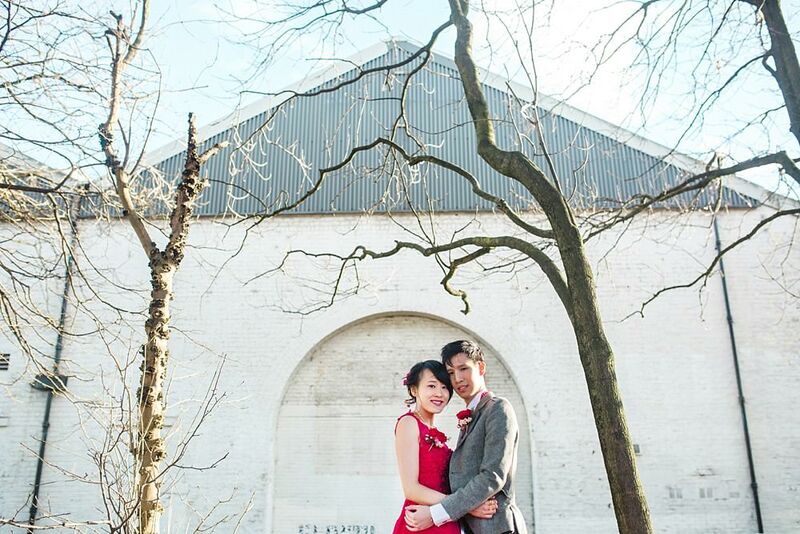 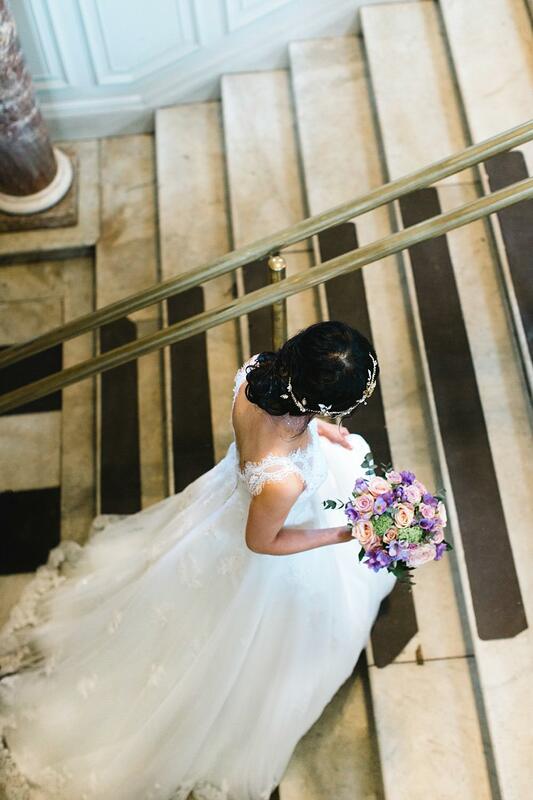 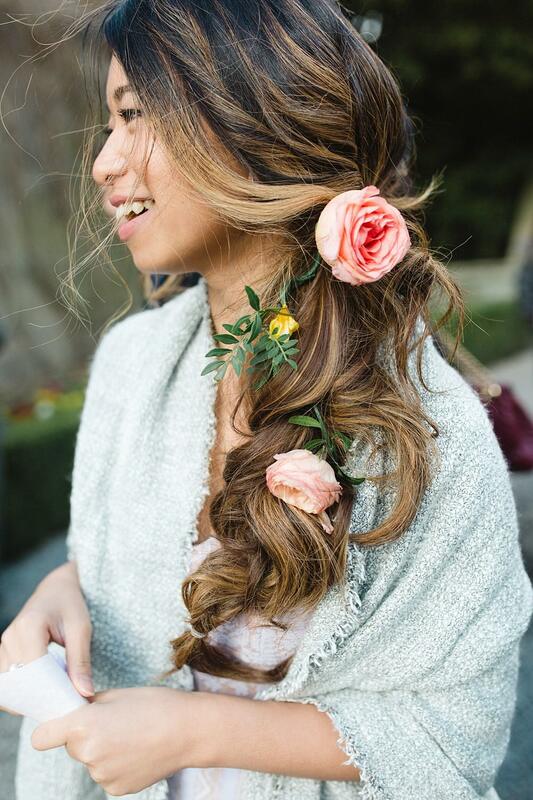 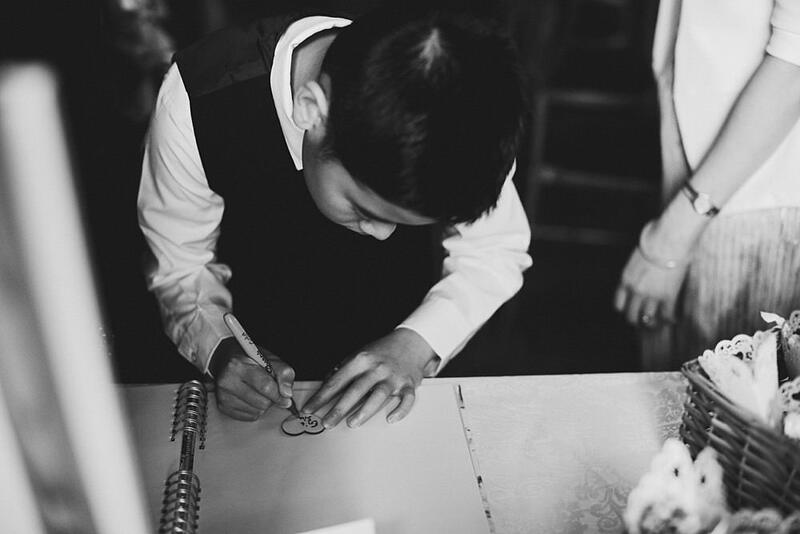 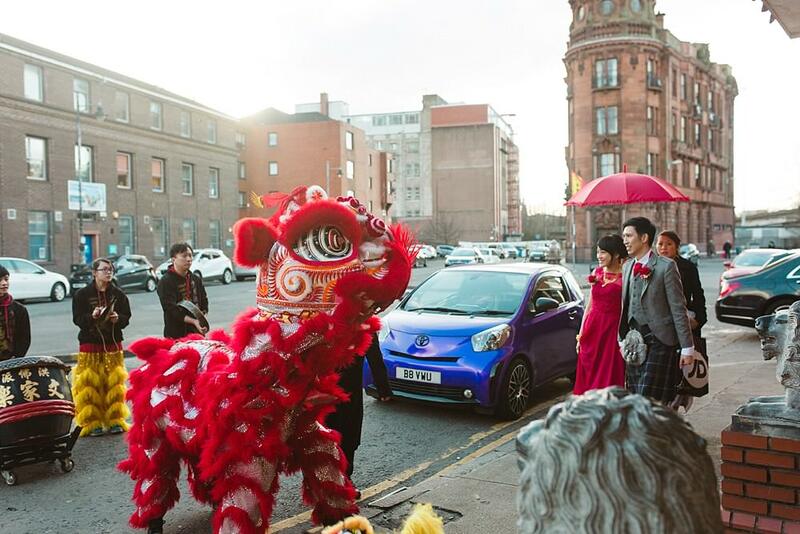 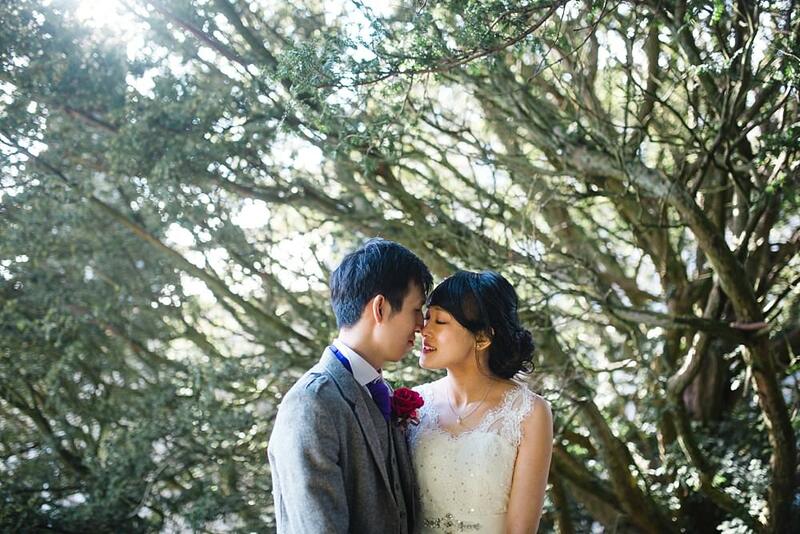 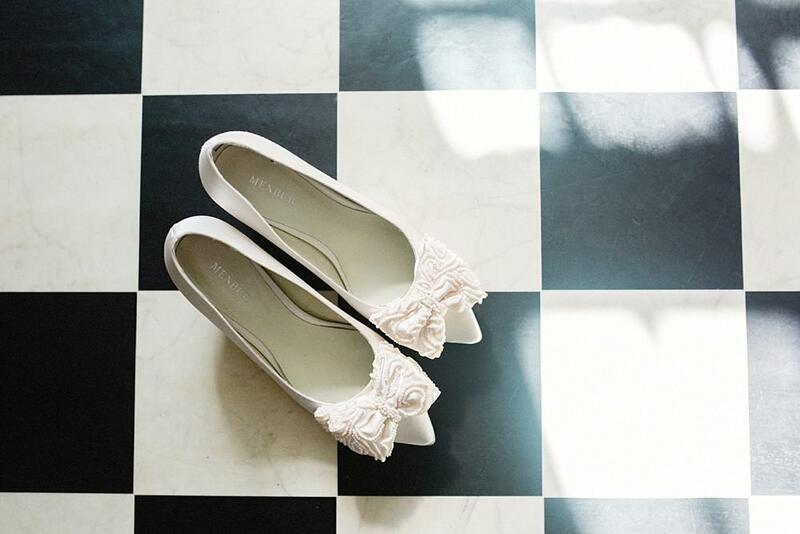 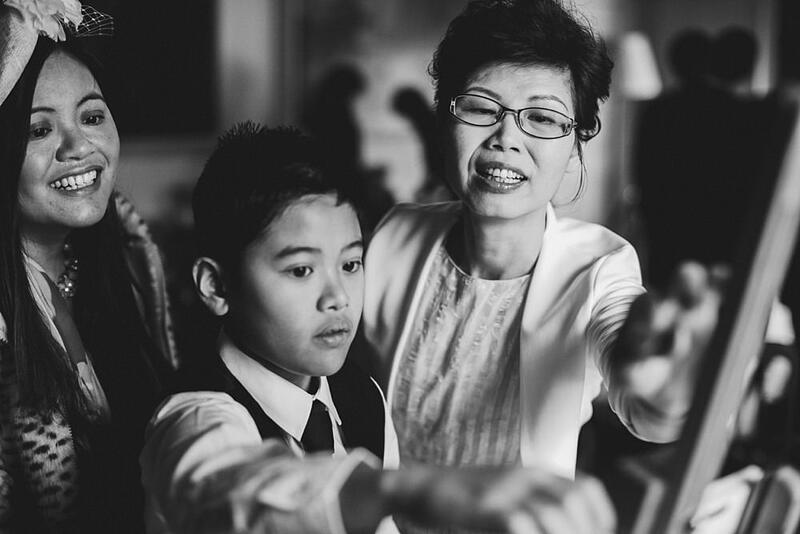 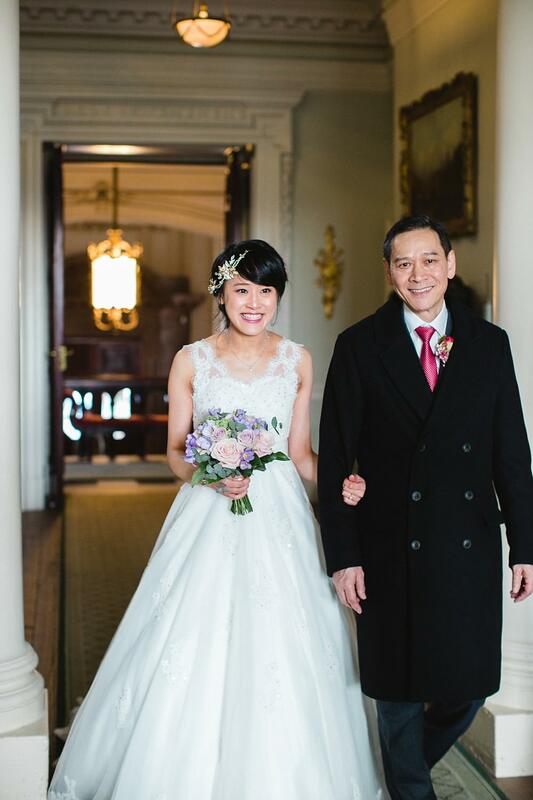 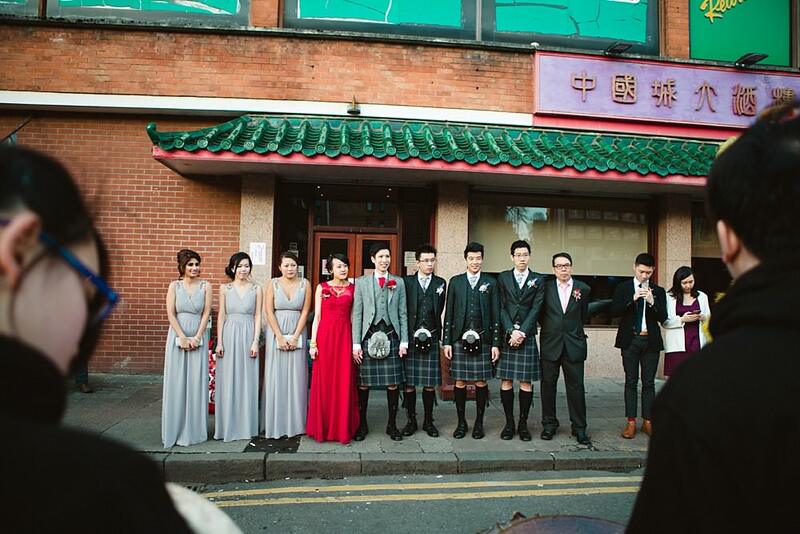 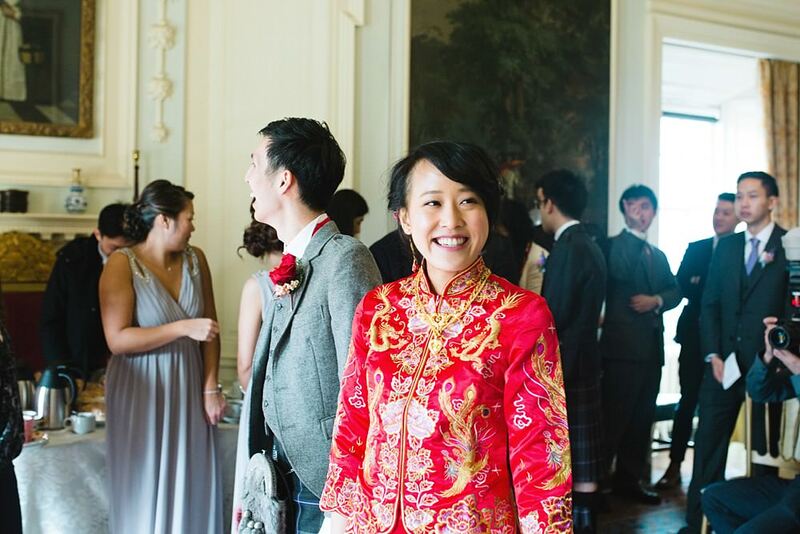 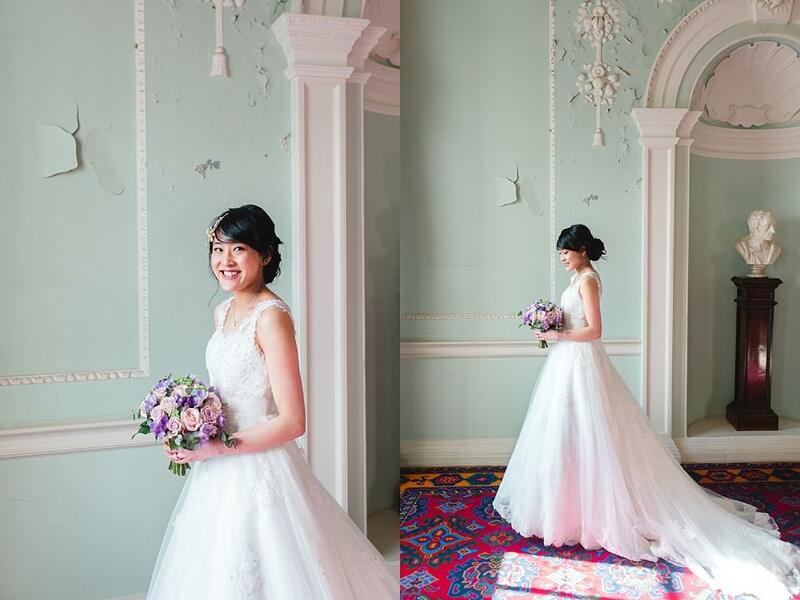 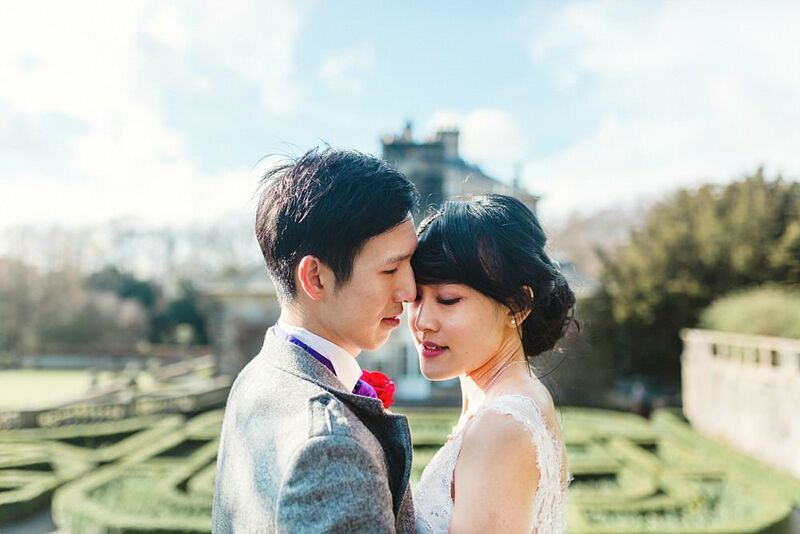 We are so excited to share with you all this sunny and beautiful Chinese wedding. 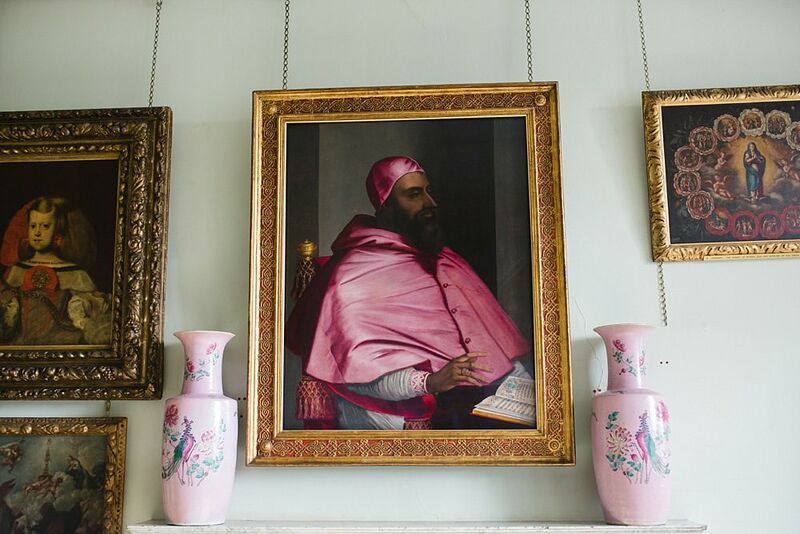 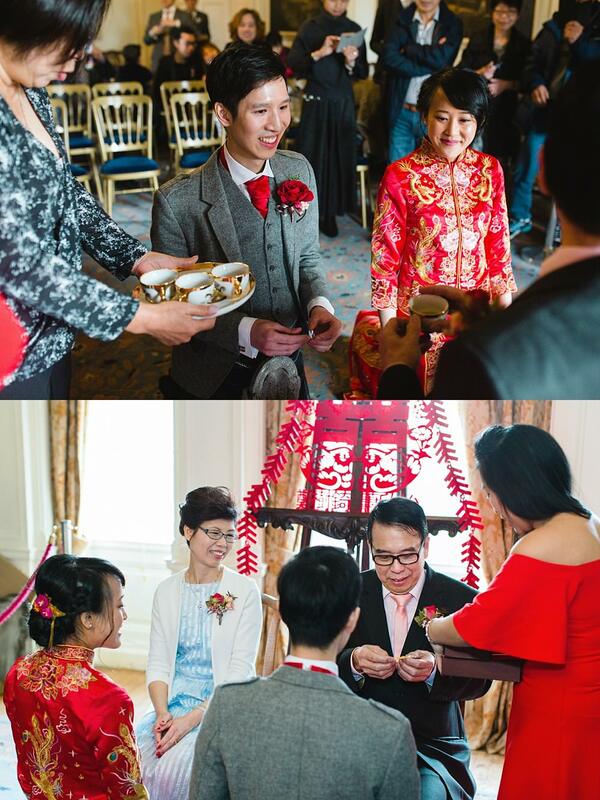 It was a day steeped in love, laughter and treasured ancestral traditions. 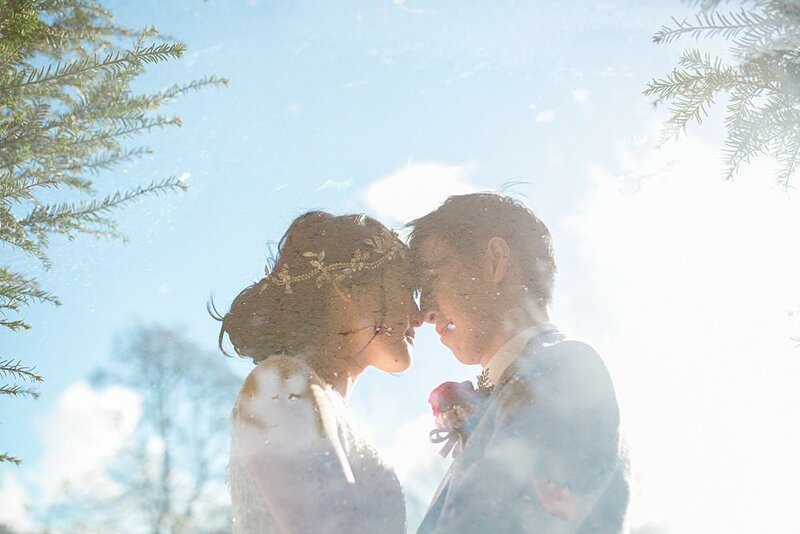 As we set off for the day it was clear during our 10-minute journey to the venue that the weather would be on our side, although very bright. 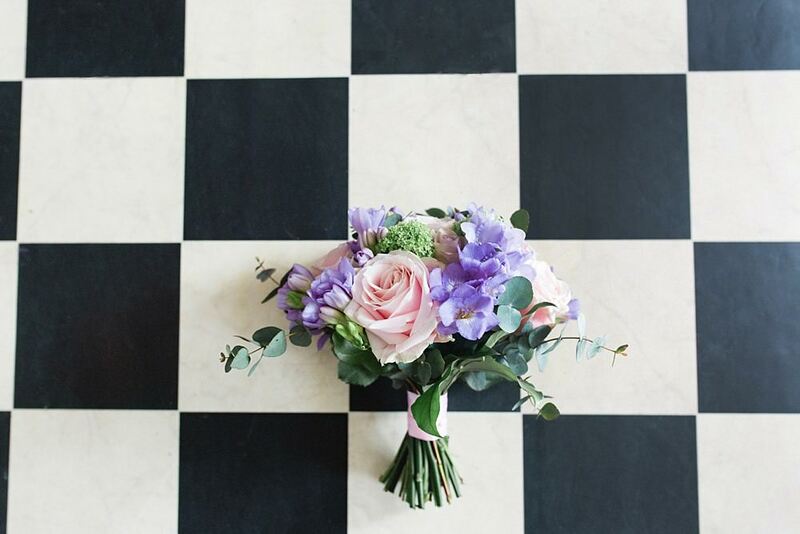 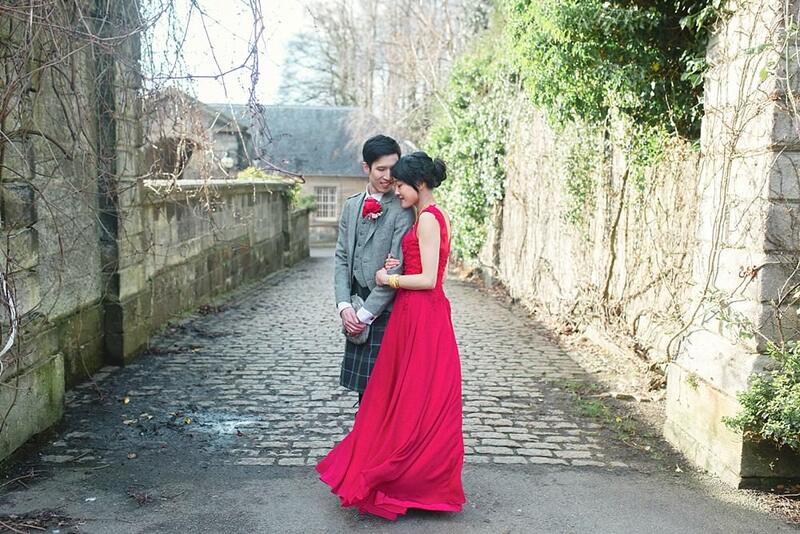 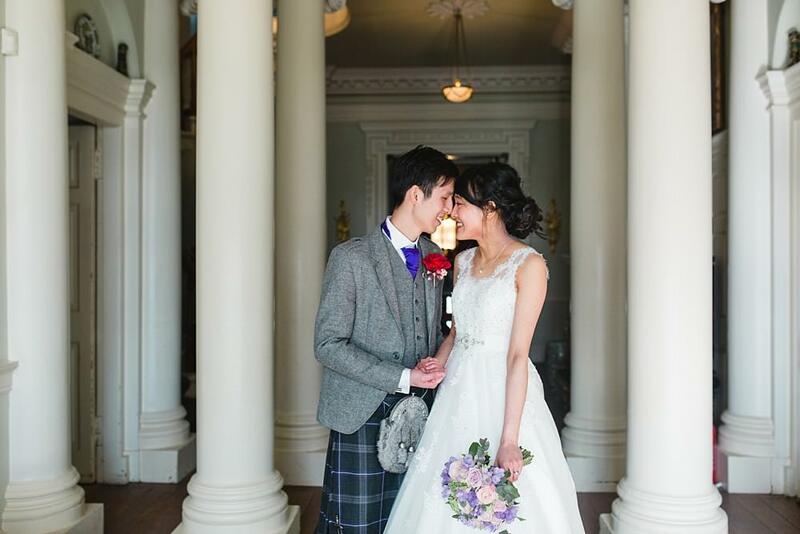 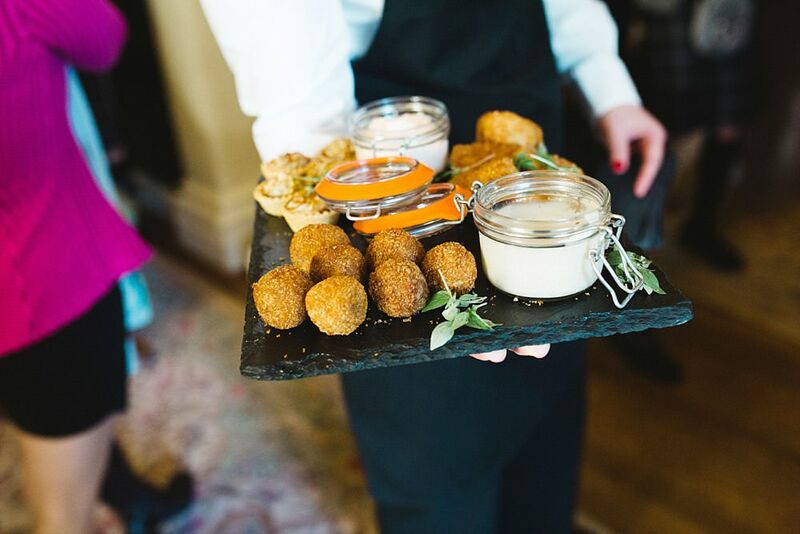 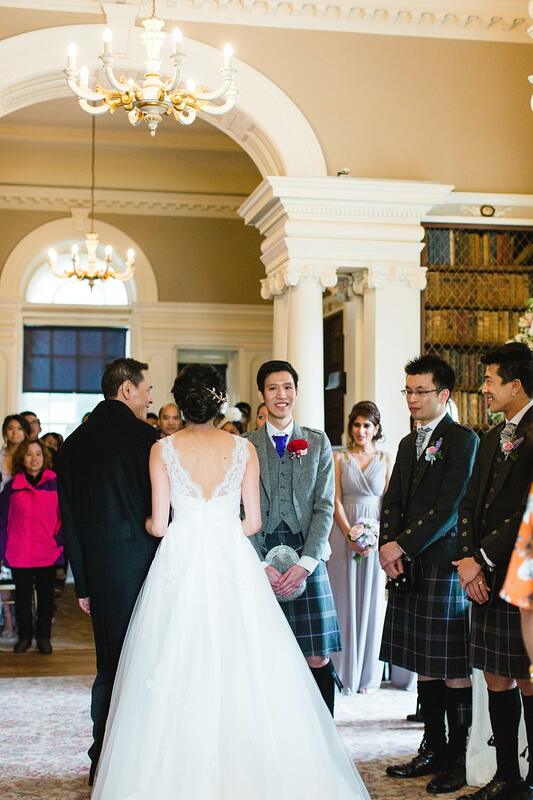 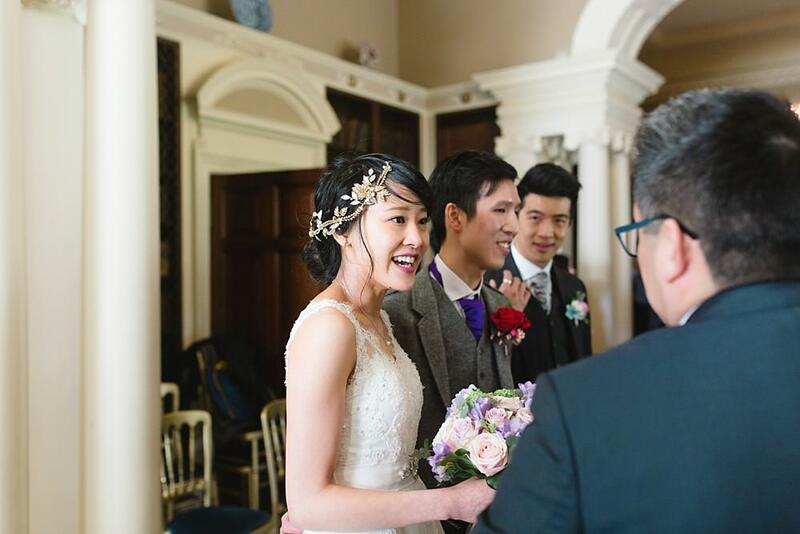 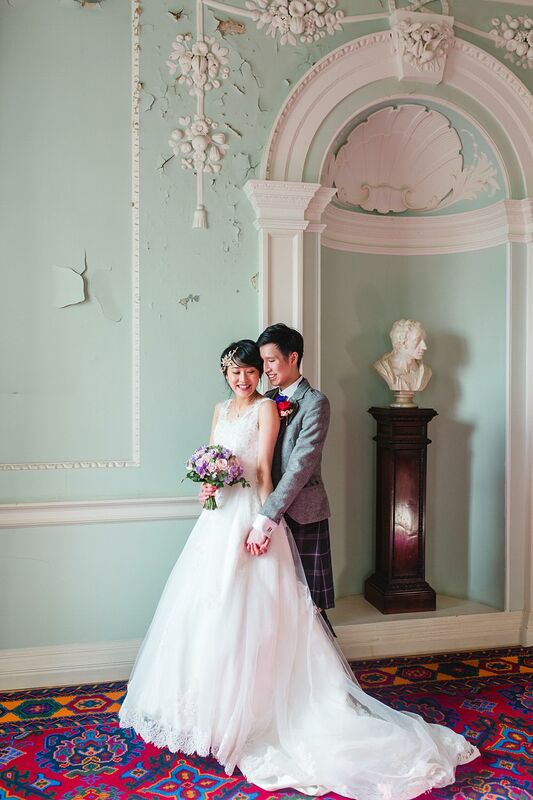 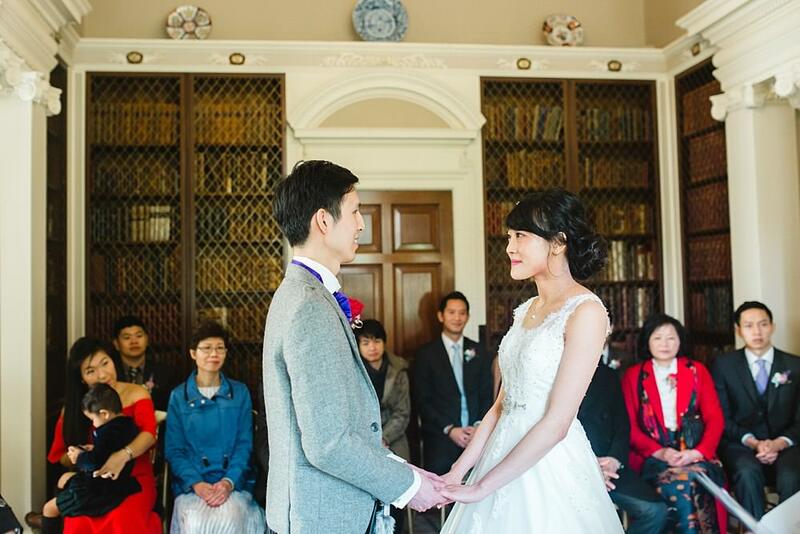 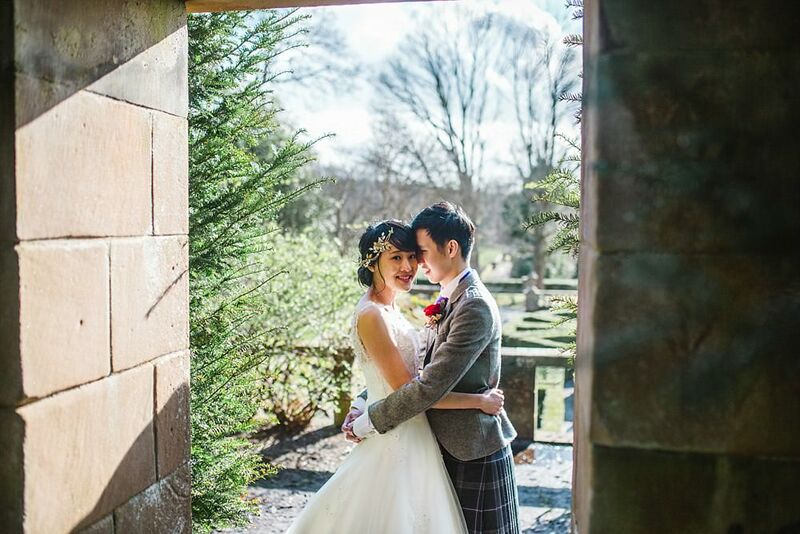 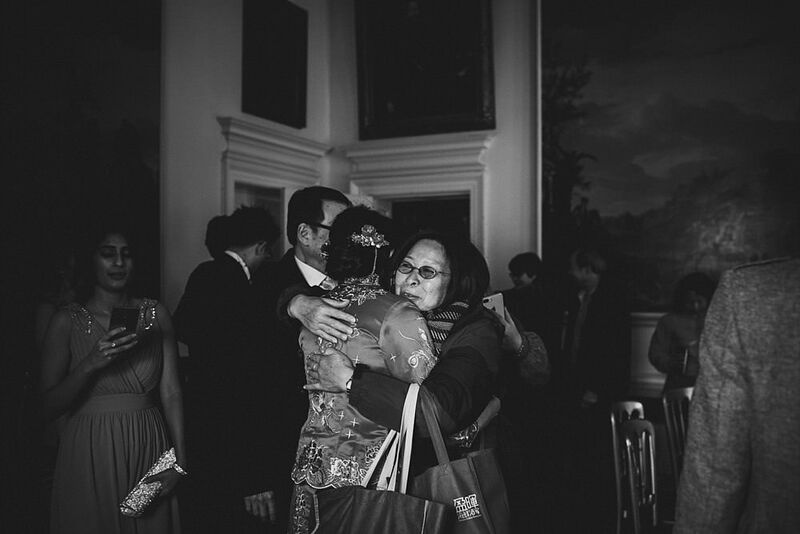 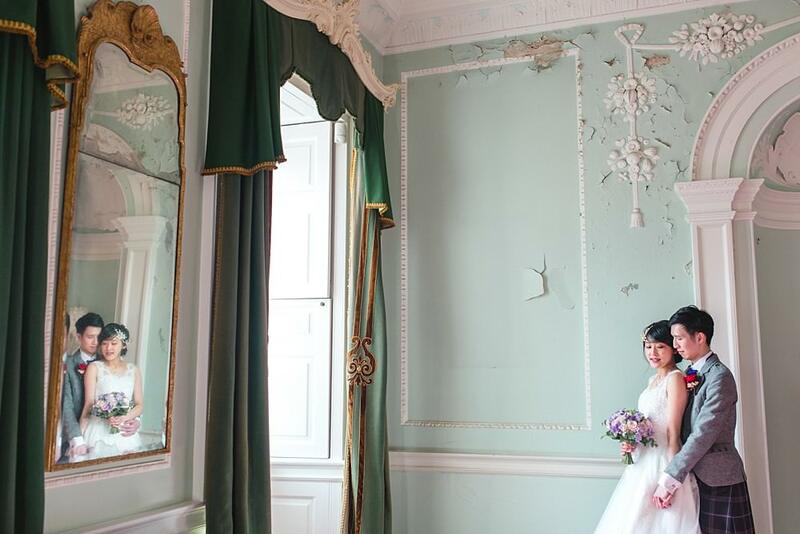 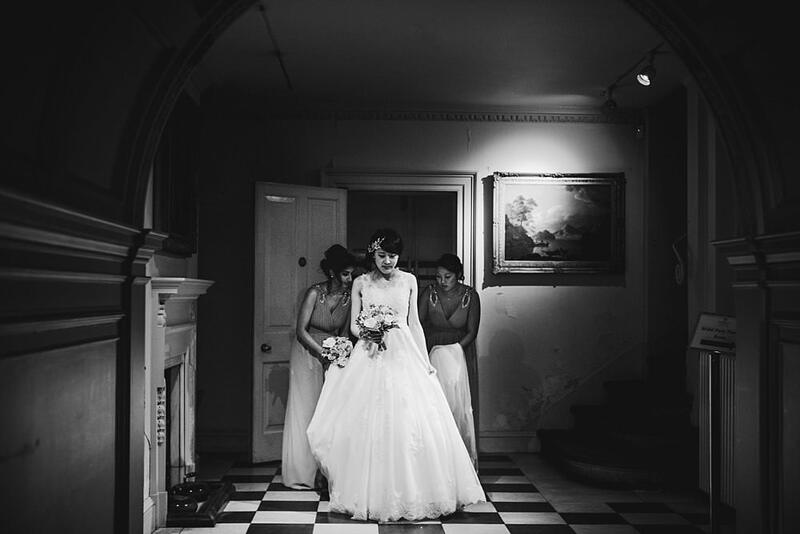 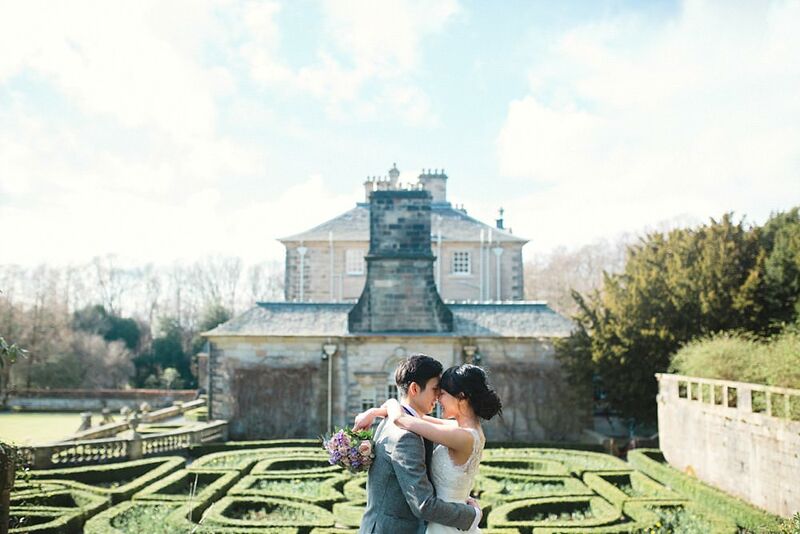 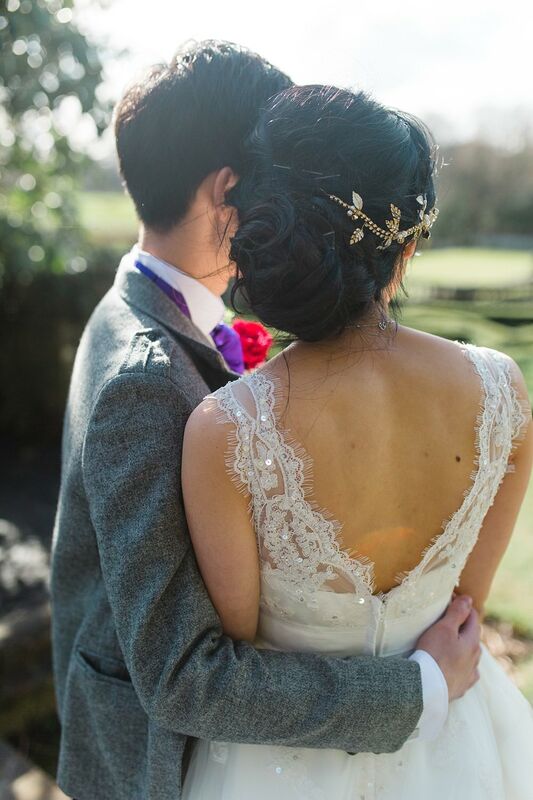 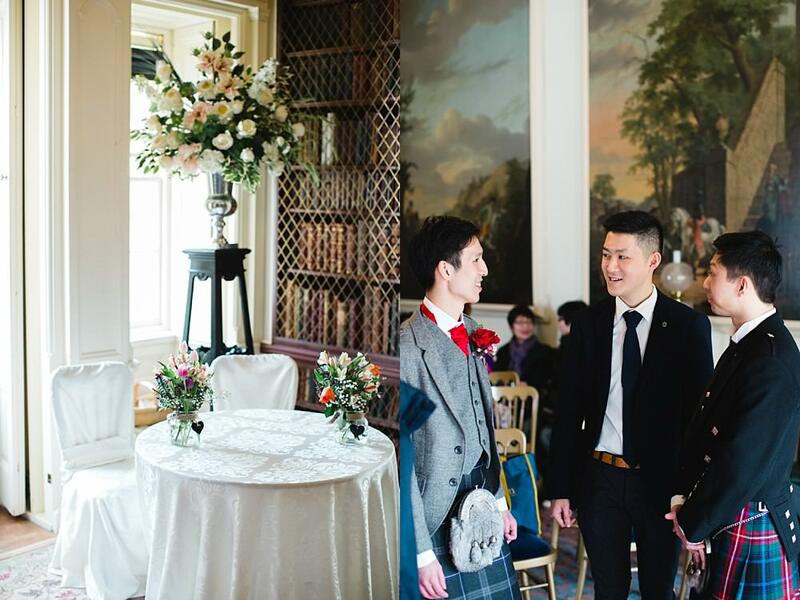 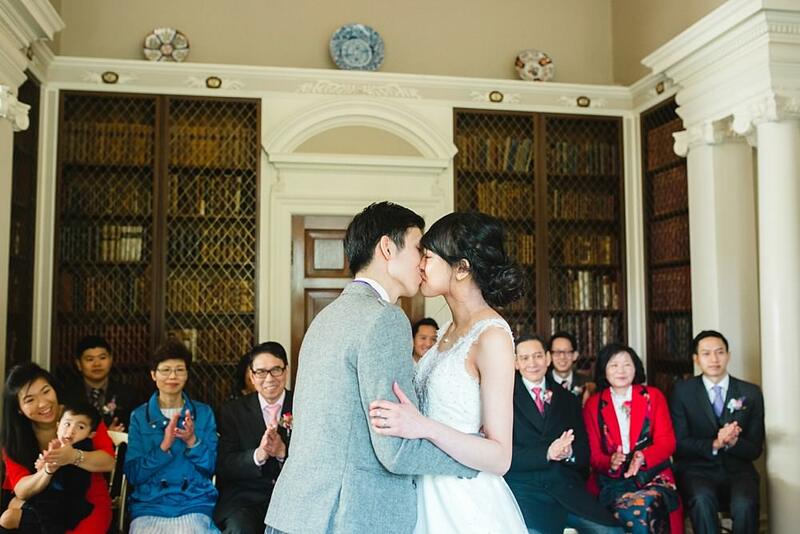 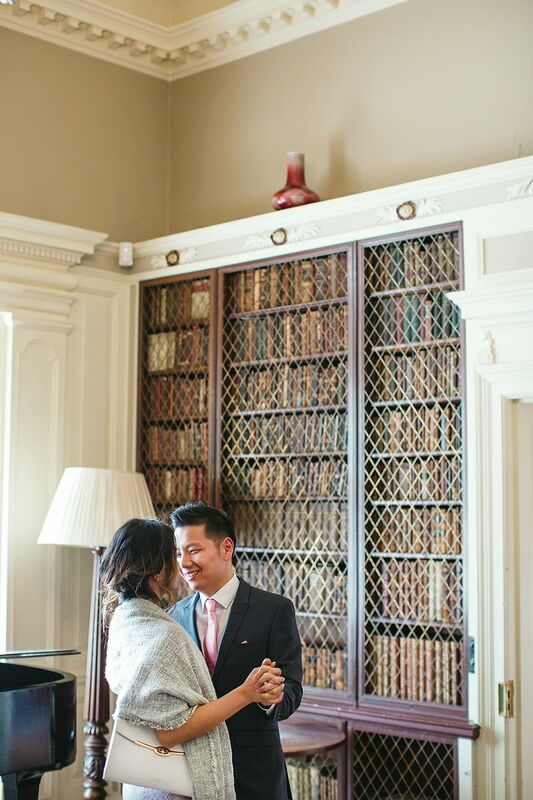 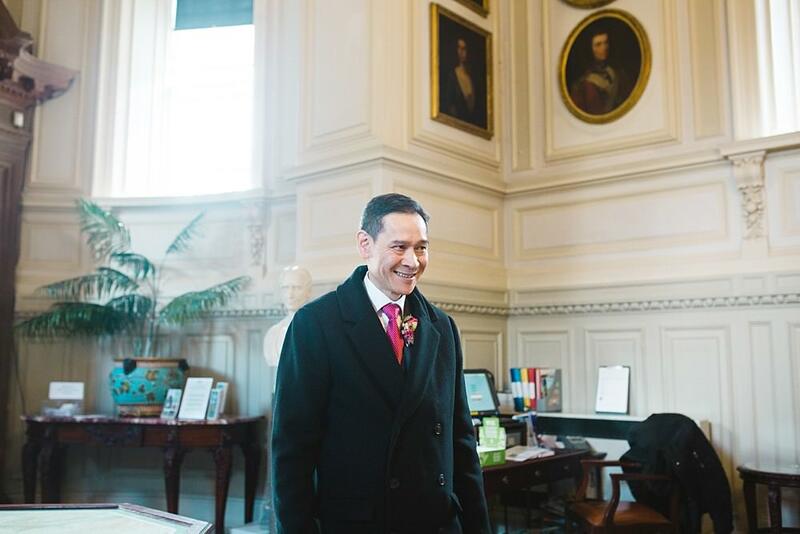 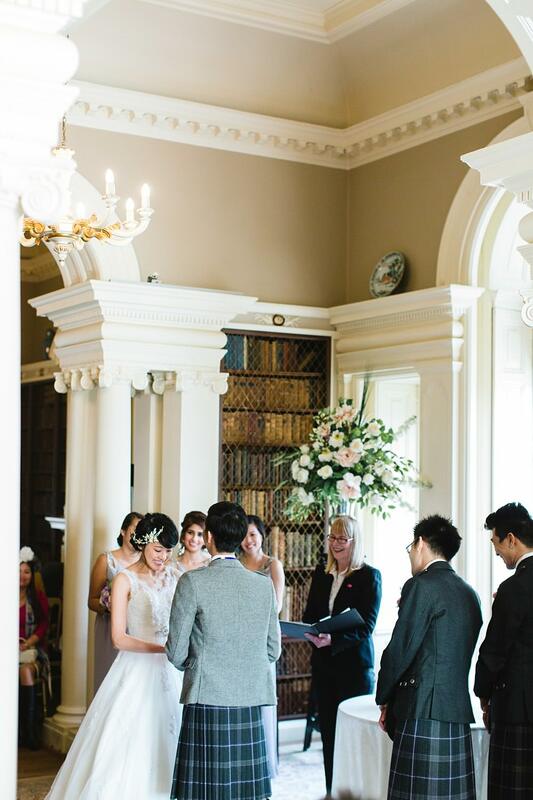 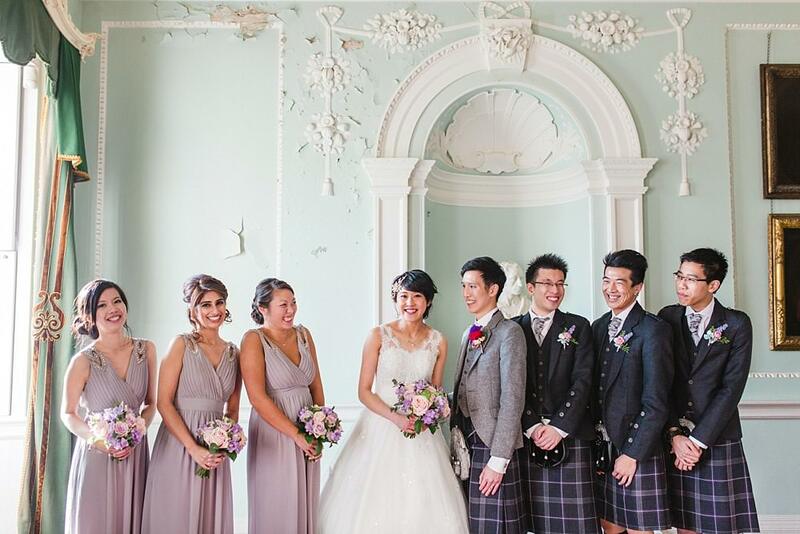 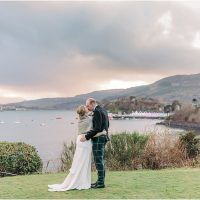 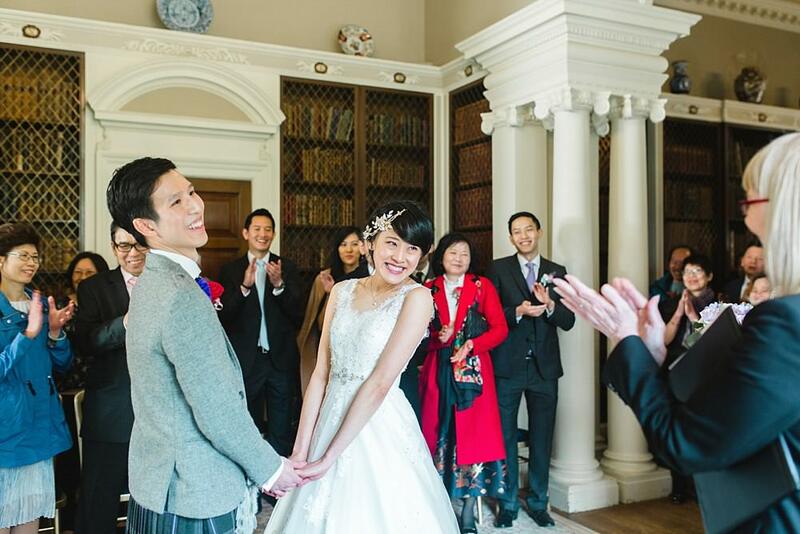 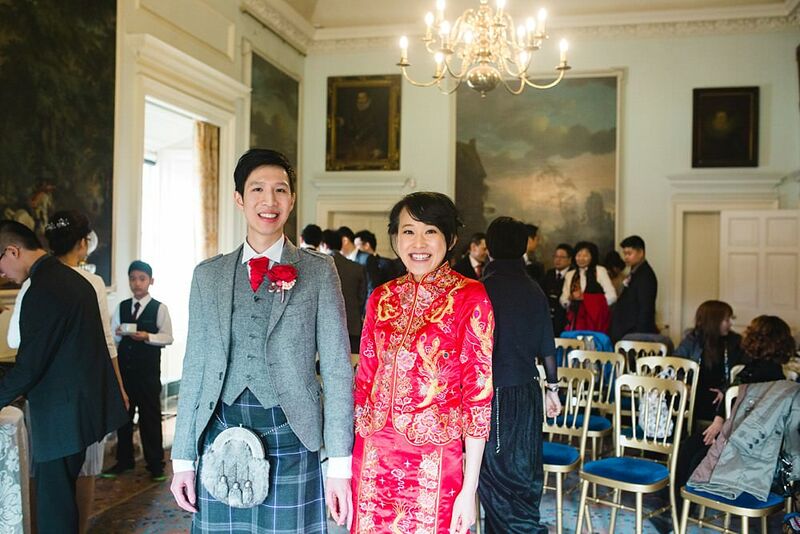 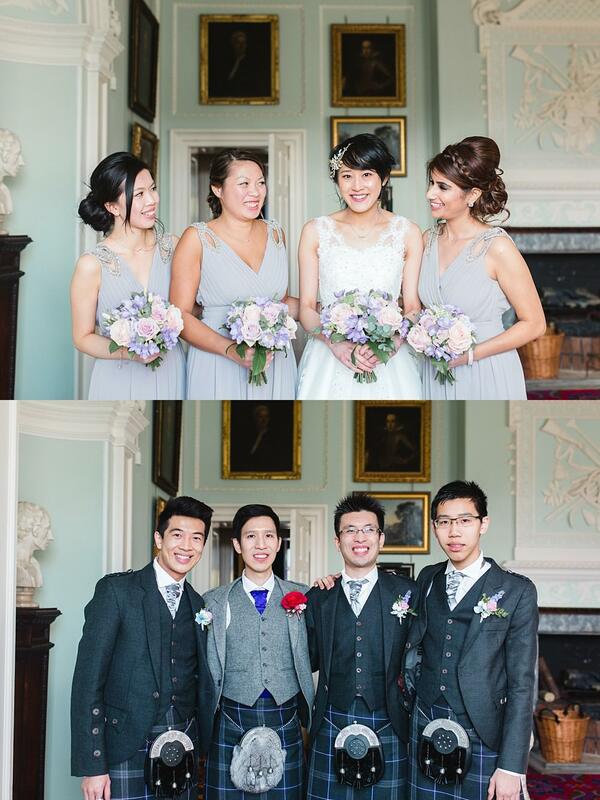 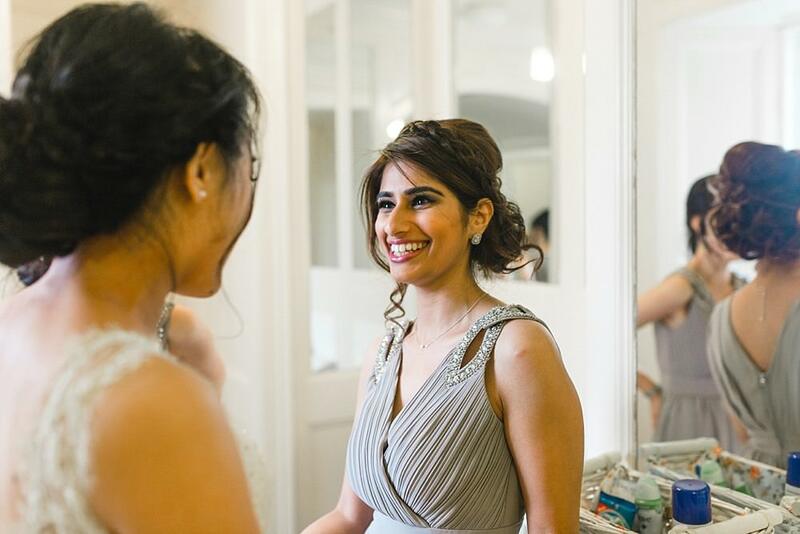 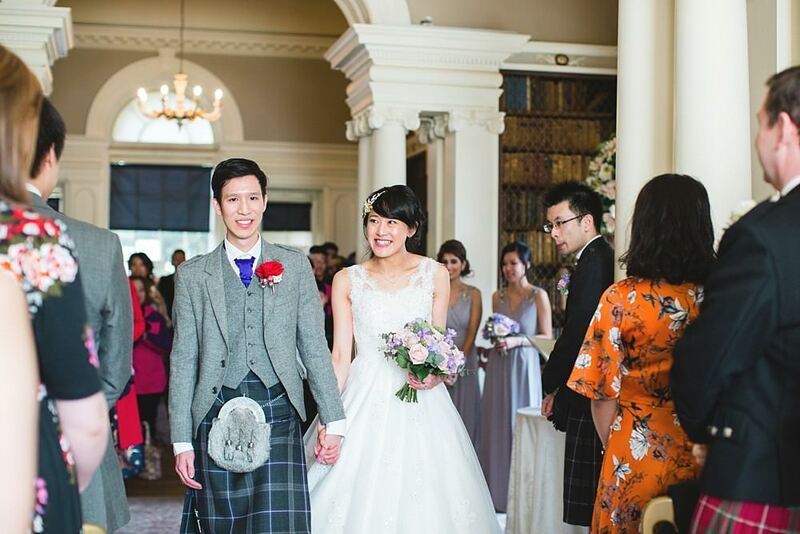 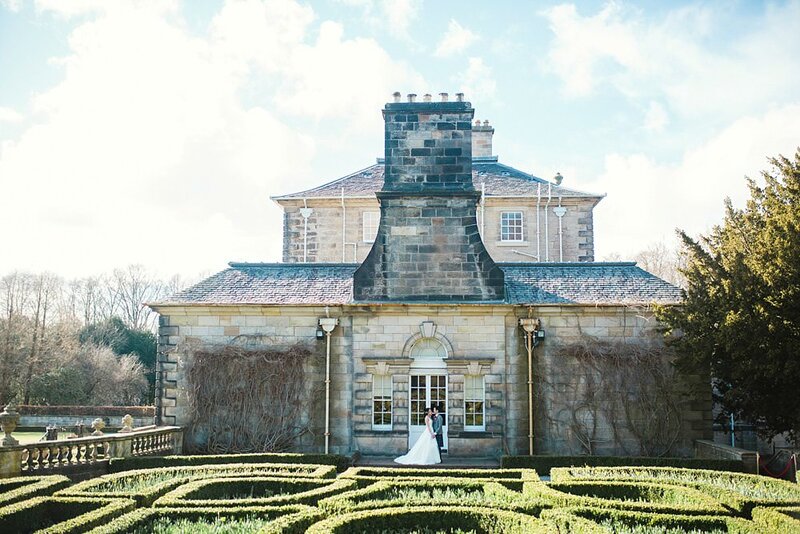 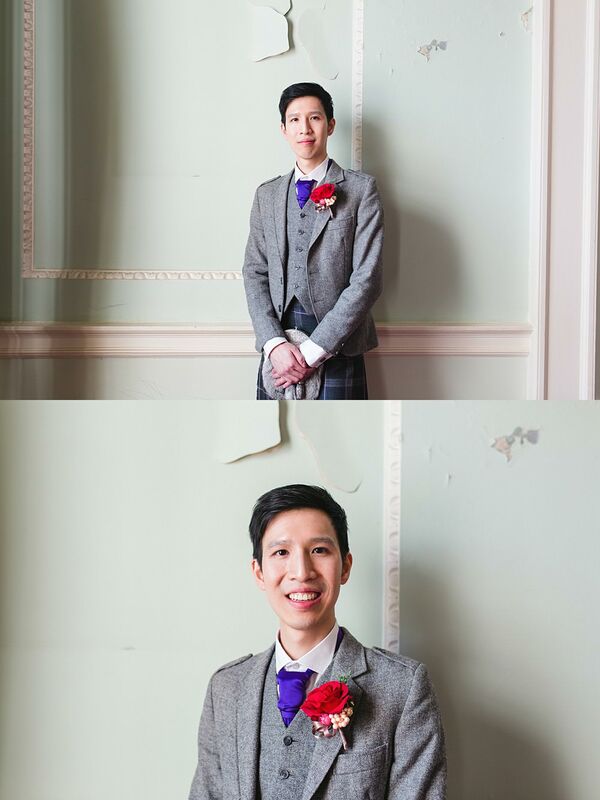 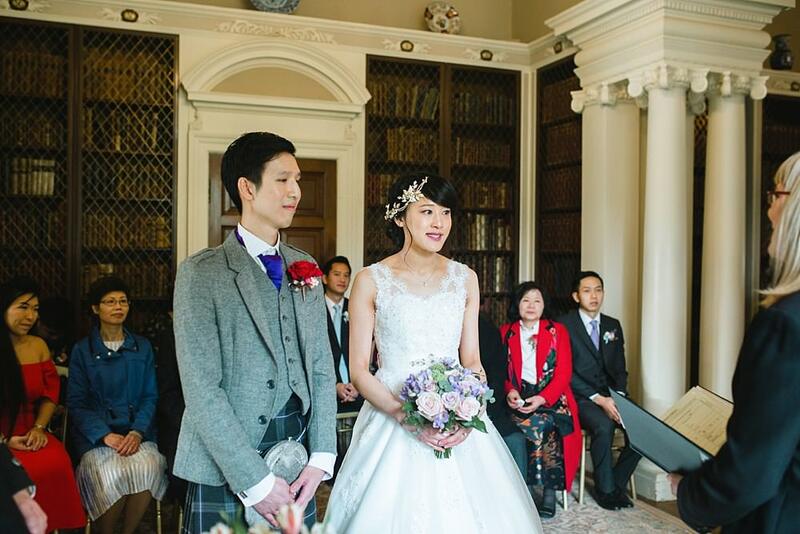 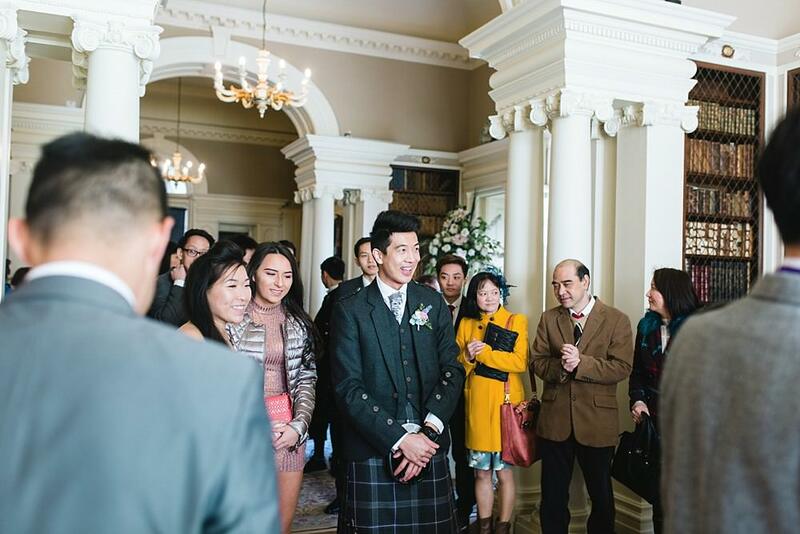 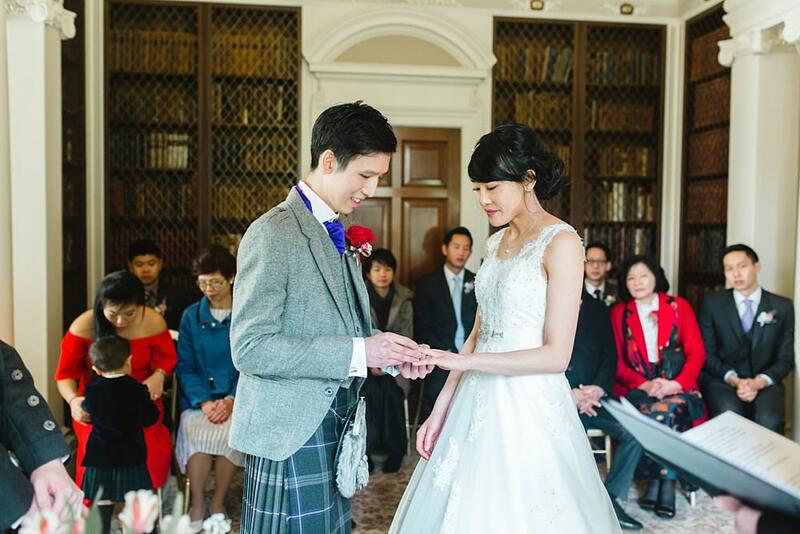 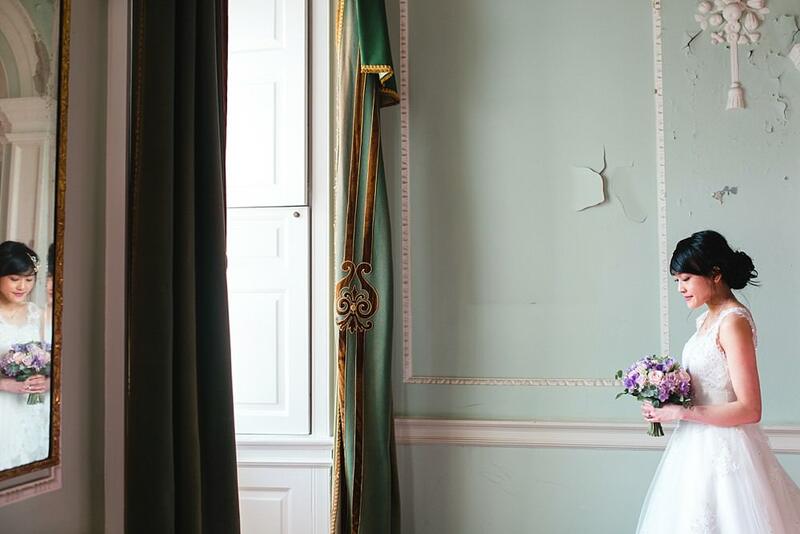 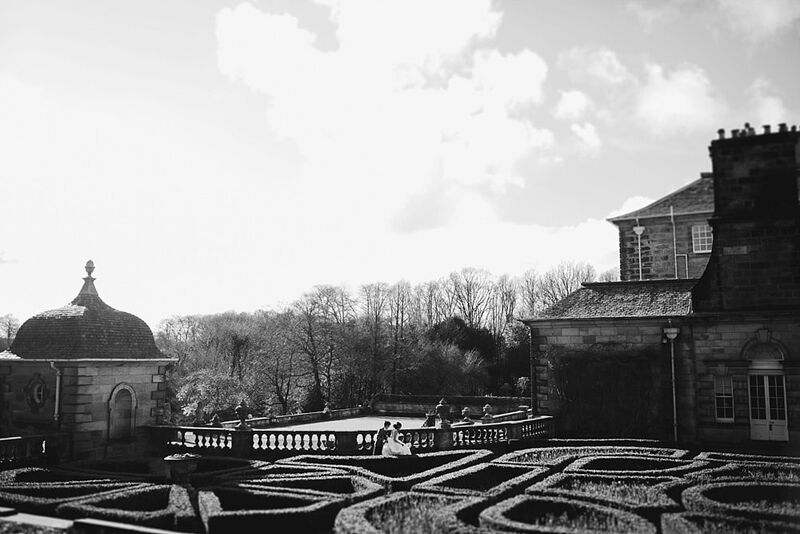 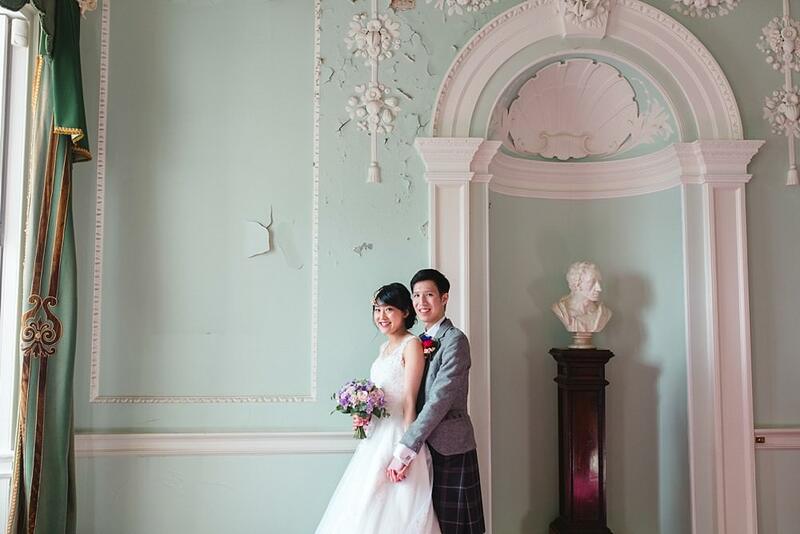 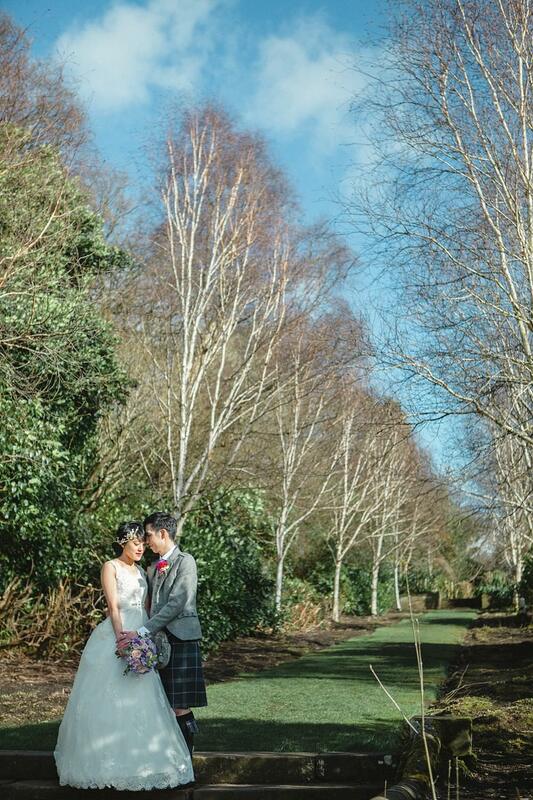 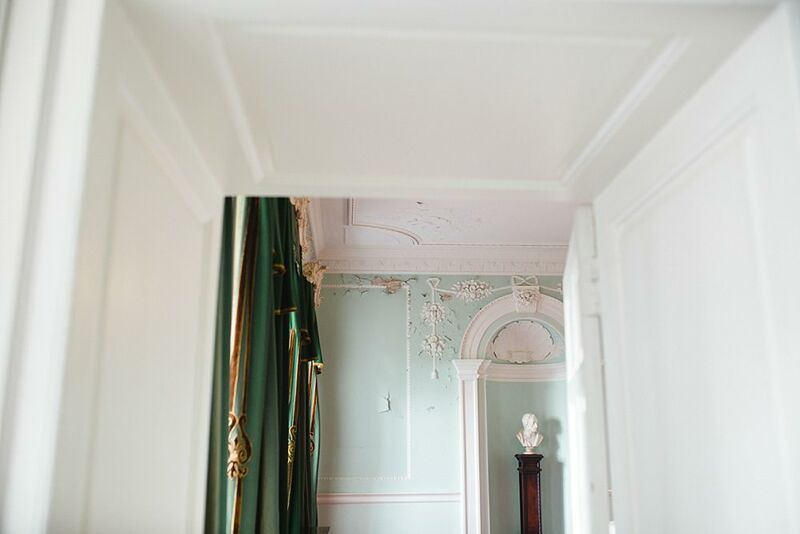 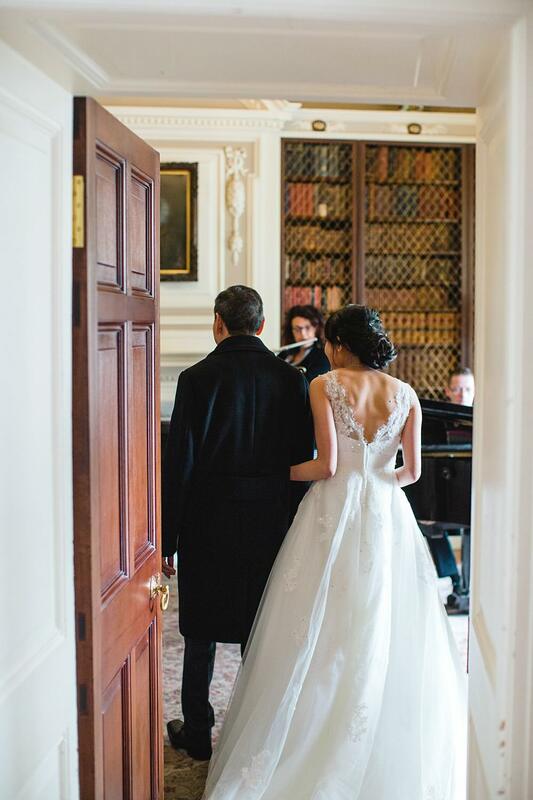 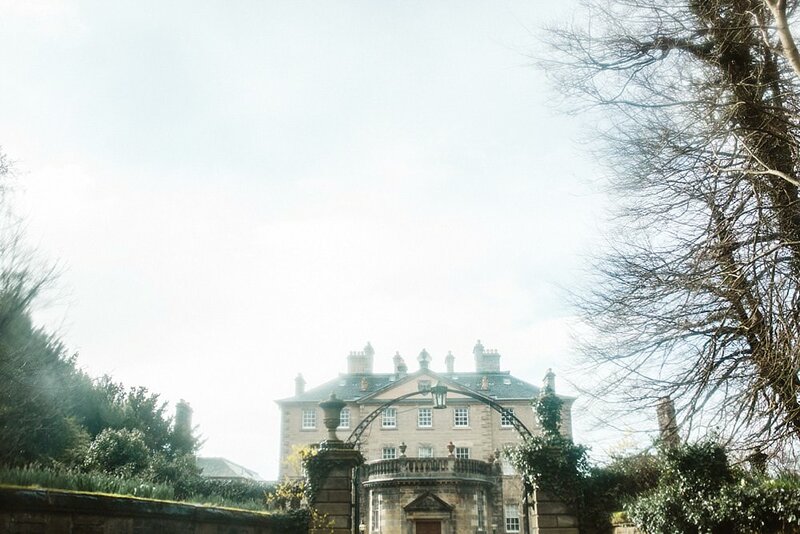 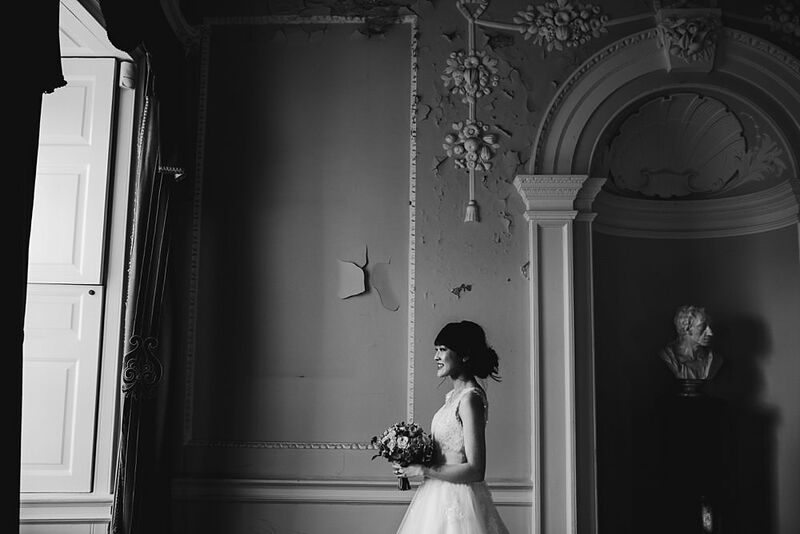 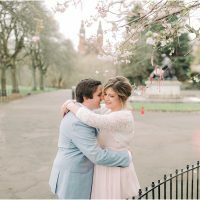 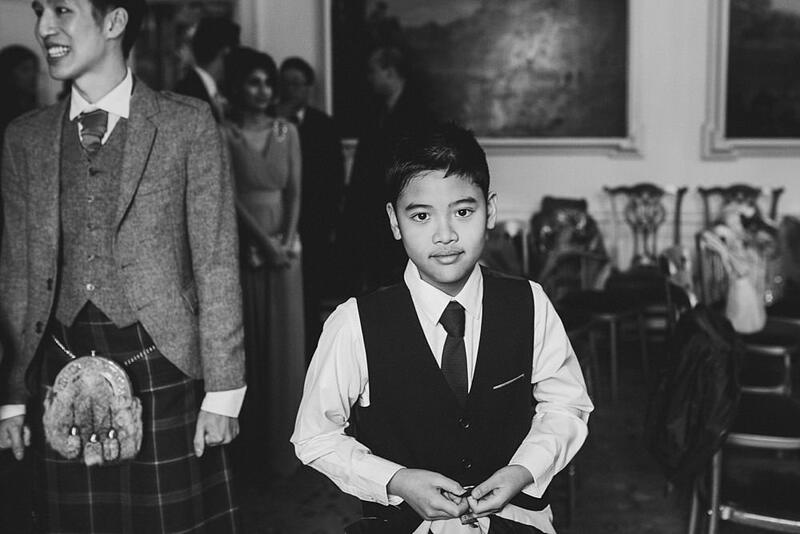 Angela and Luke chose Pollok House to celebrate their love for each other. 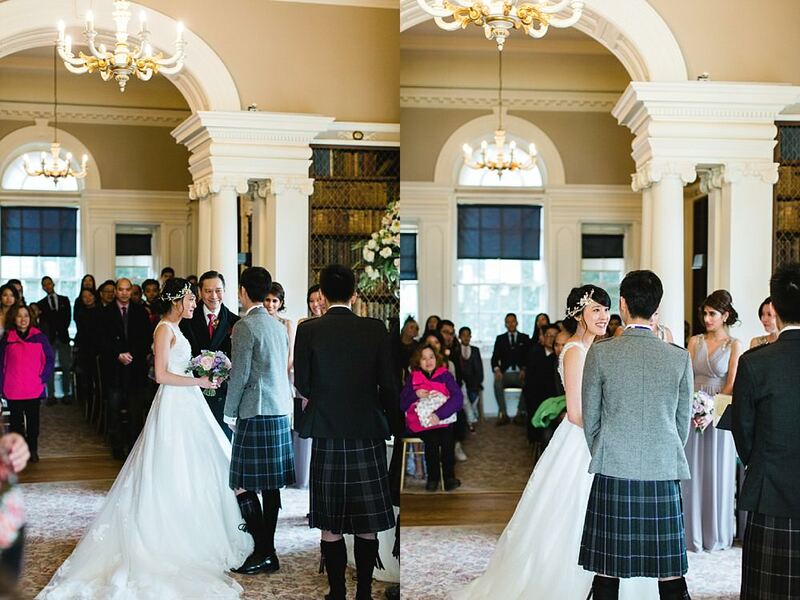 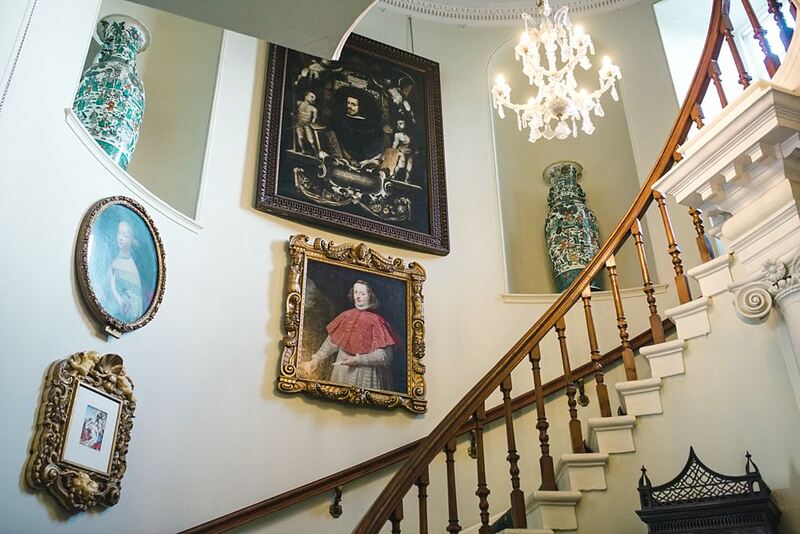 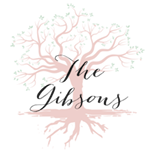 As mentioned many times in the past, we love this venue and we see instantly why our couples book this venue…after all this is where Scott and I married back in 2004! 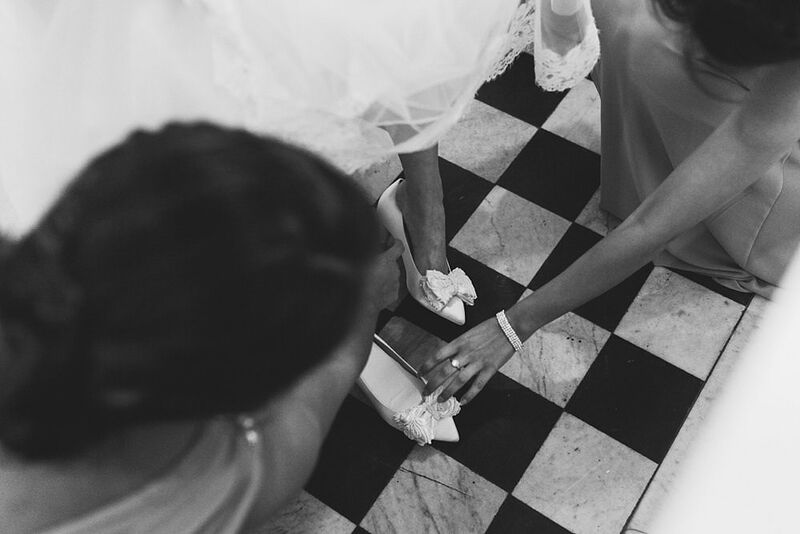 Yes, we are that old and yes we have been married for that long! 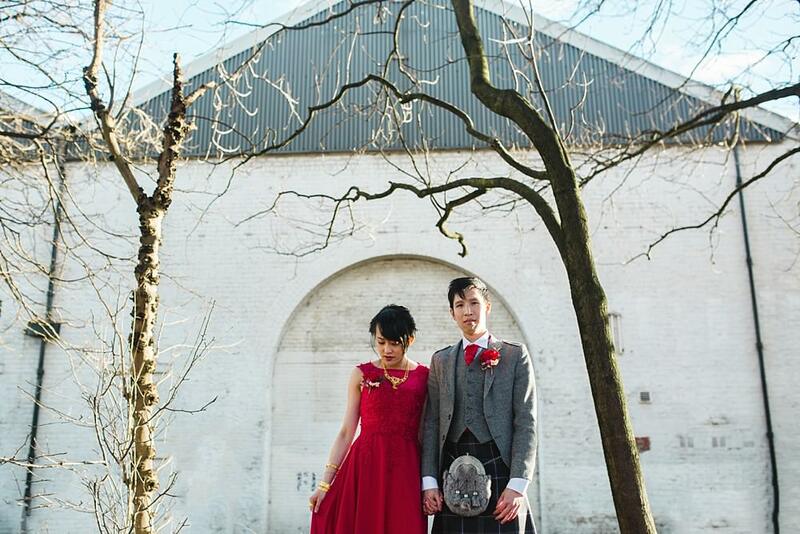 The day started off a bit differently for us at this venue which was so much fun. 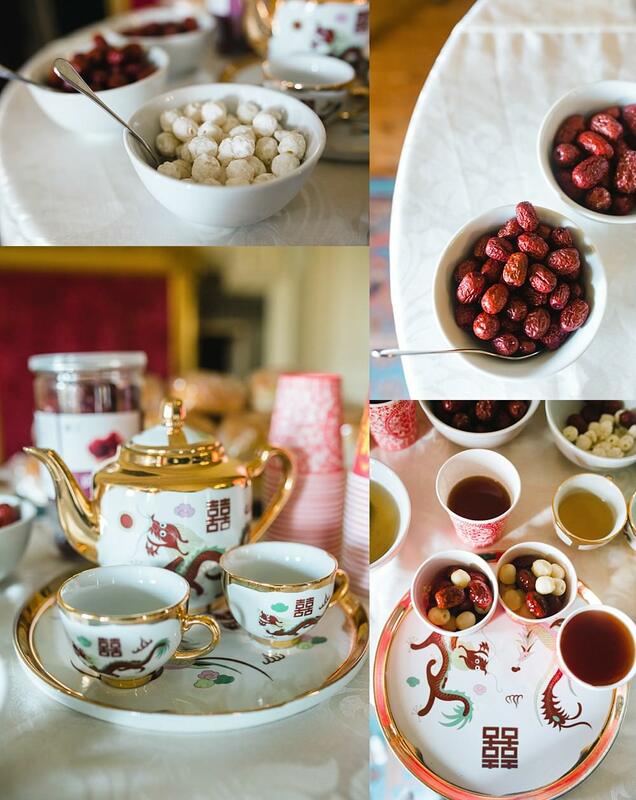 The tea ceremony kicked off in the beautiful dining room which was so fitting with its ornate tables and paintings. 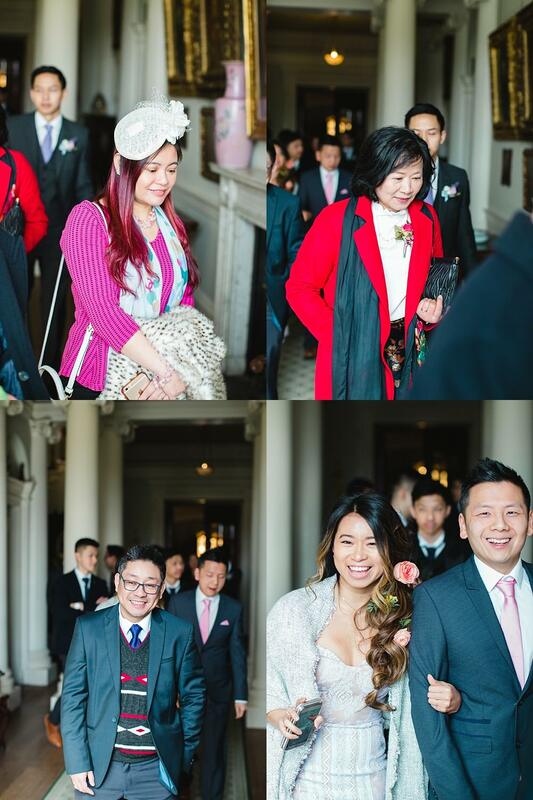 Angela and Luke arrived and were greeted by friends and family. 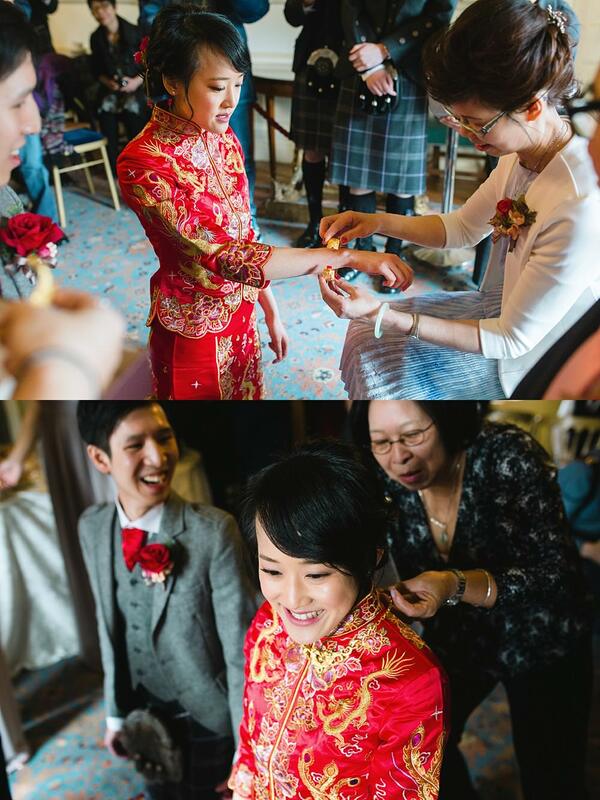 Angela wore her red Kwa dress which is a Chinese traditional wedding dress. 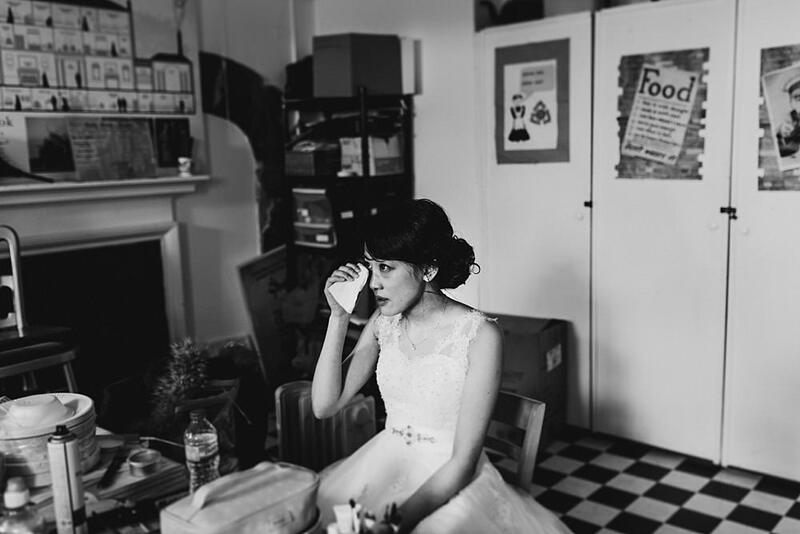 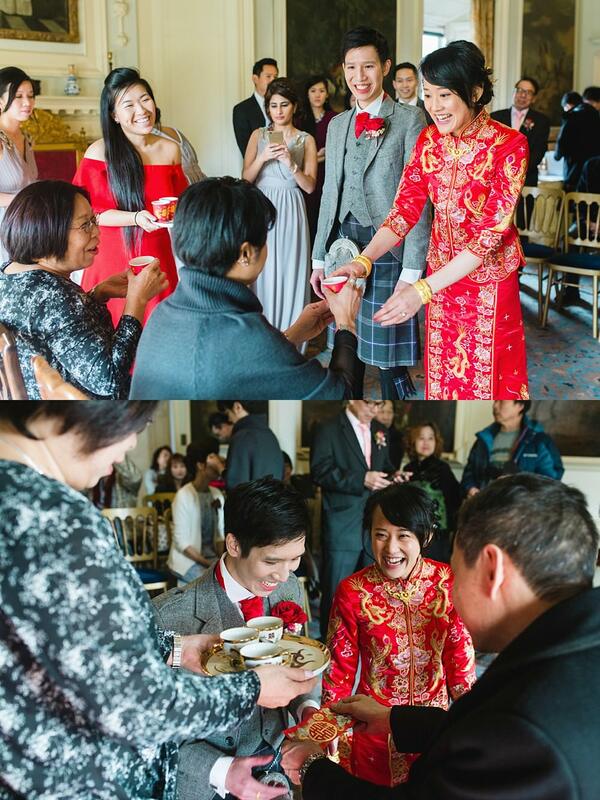 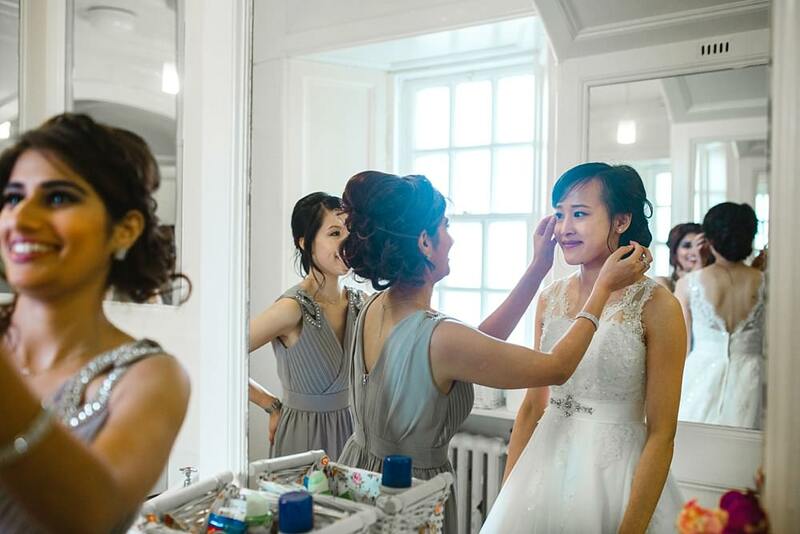 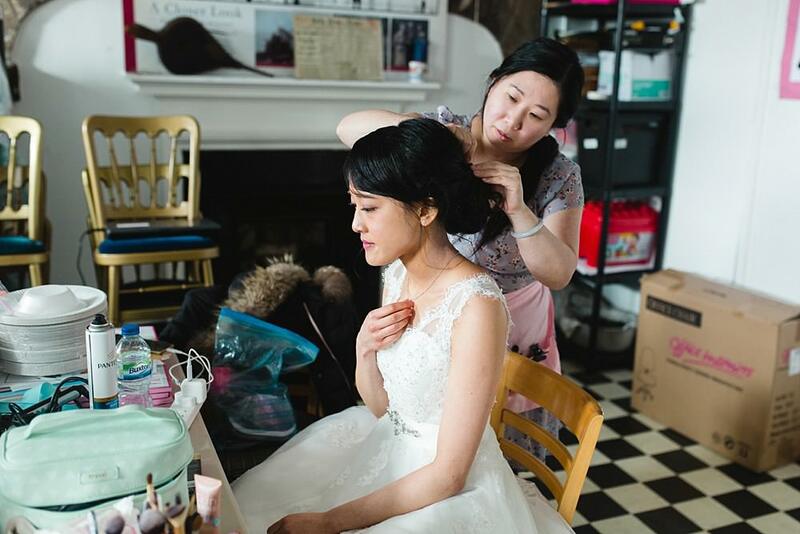 The tea ceremony is the most significant event at a modern Chinese wedding. 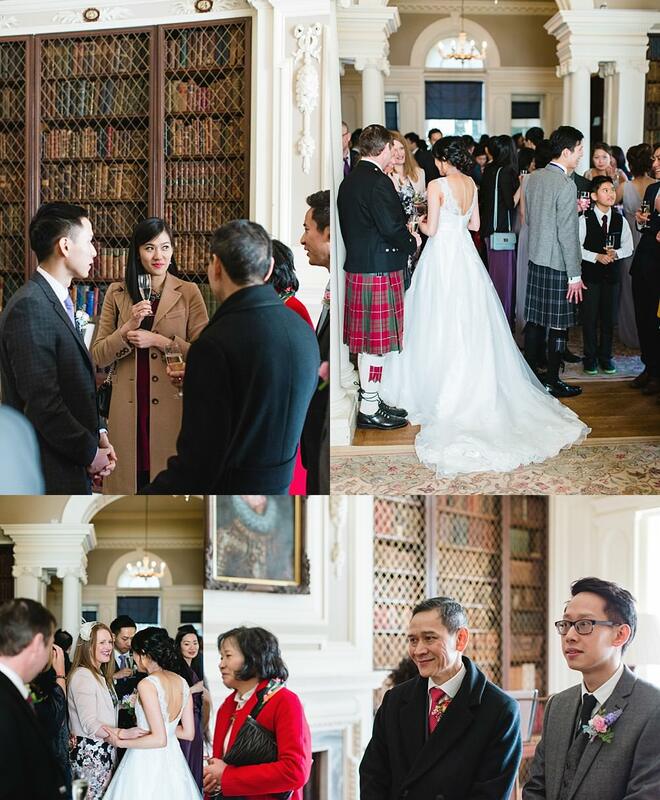 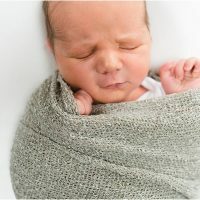 Have a peek here for more information on the formalities and why it is so important. 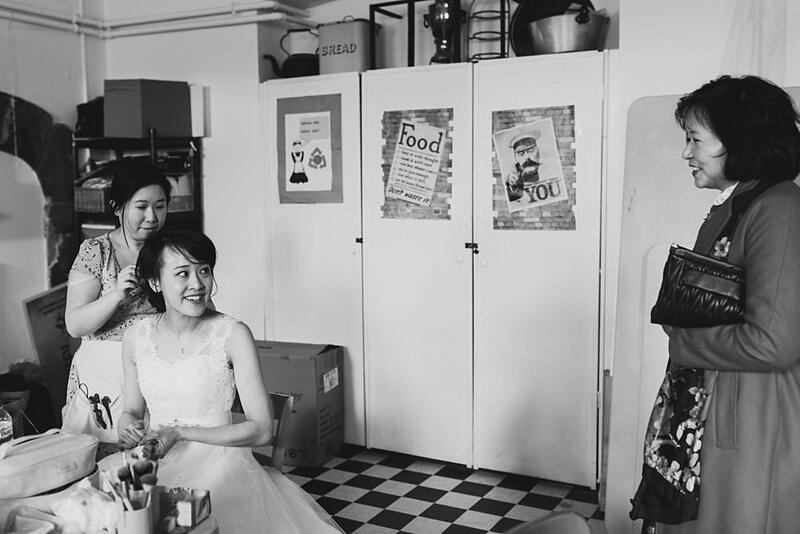 Next up on the order of the day was preparations for the western wedding. 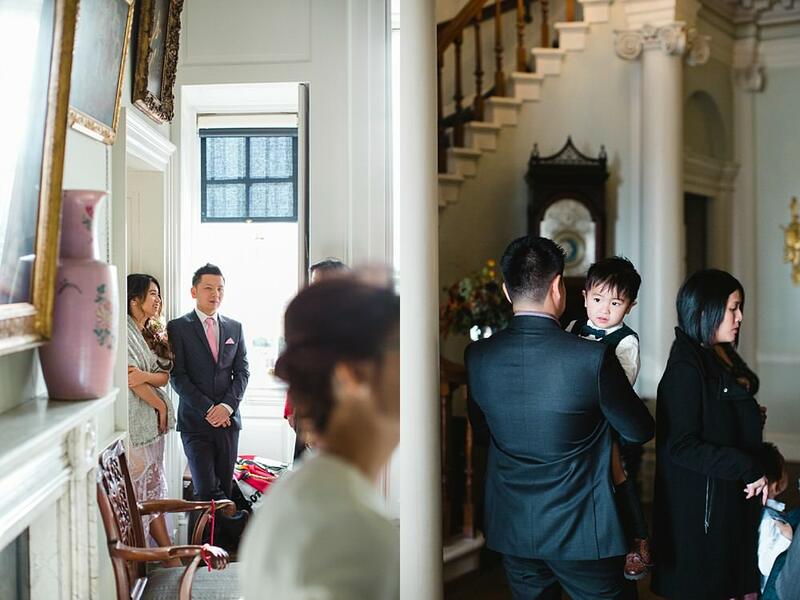 Angela headed downstairs to get her make up touched up and to get her hair redone for this part of the day while Luke mingled upstairs. 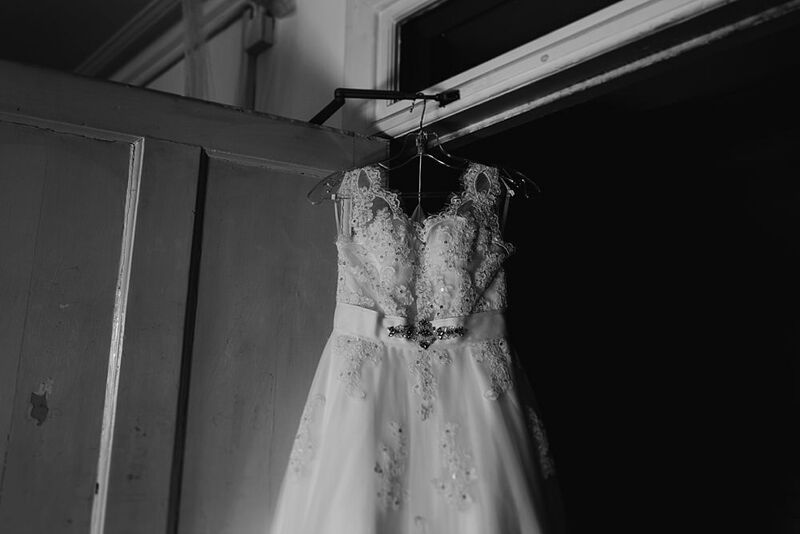 Even though it wasn’t your usual morning preparations the sentiment and little heartfelt moments were still there from her mom coming down to give words of encouragement before her daughter was to become a wife…Angela cries so prettily…to her best friends remembering days gone by when they were little girls on the playground dreaming of their wedding day. 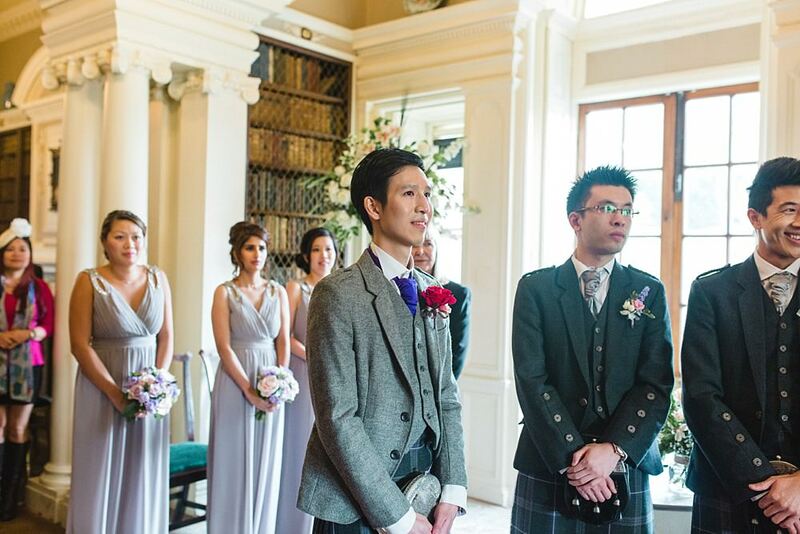 The time for the ceremony came around and as I saw the pride in Angela’s dad’s kind face I was blown away yet again at how special of a job we have. 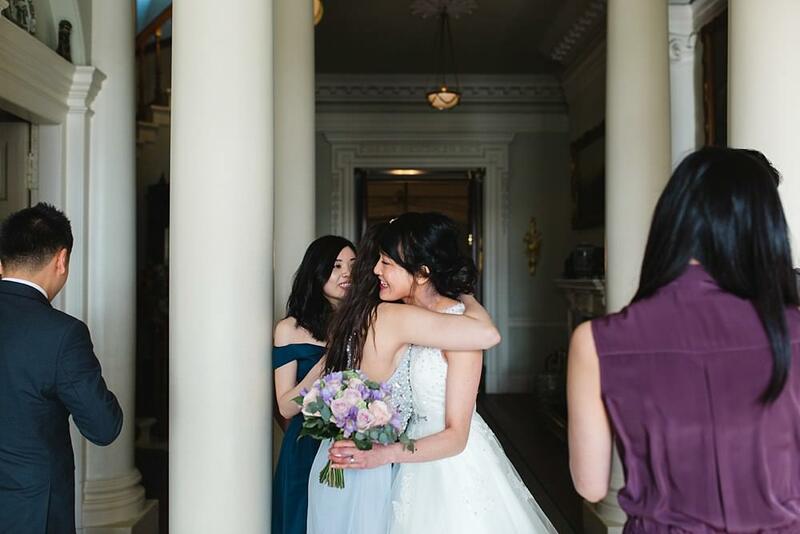 To capture such emotion and love between family, friends and two people who have chosen each other to go through life together is an honour. 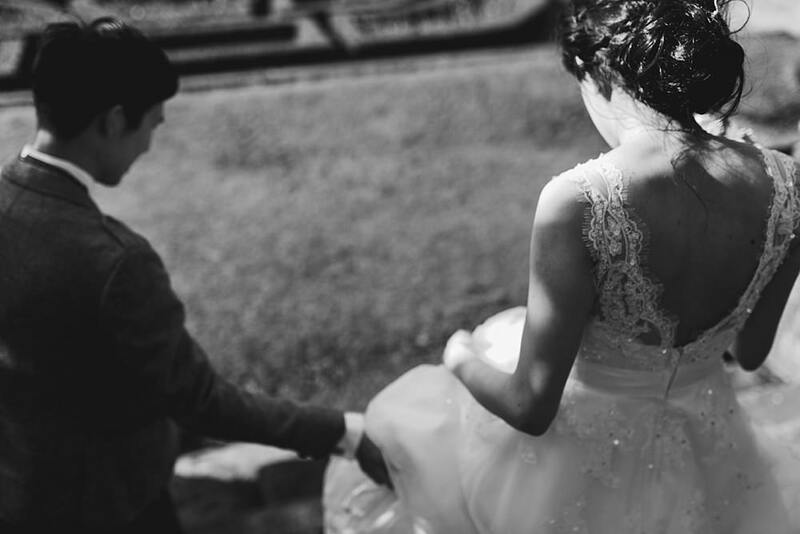 Needless to say the rest of the day was perfect. 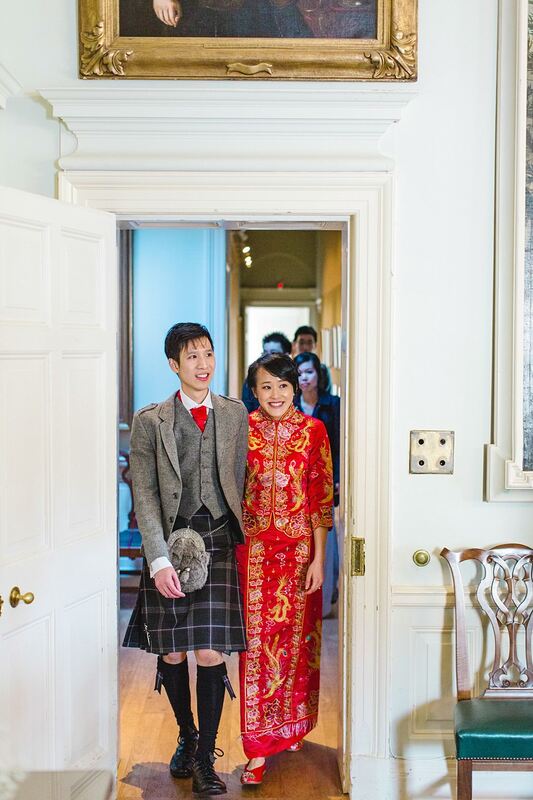 As the guests got a tour of the house we whisked them out for photos and then it was onto evening preparations for the Chinese banquet. 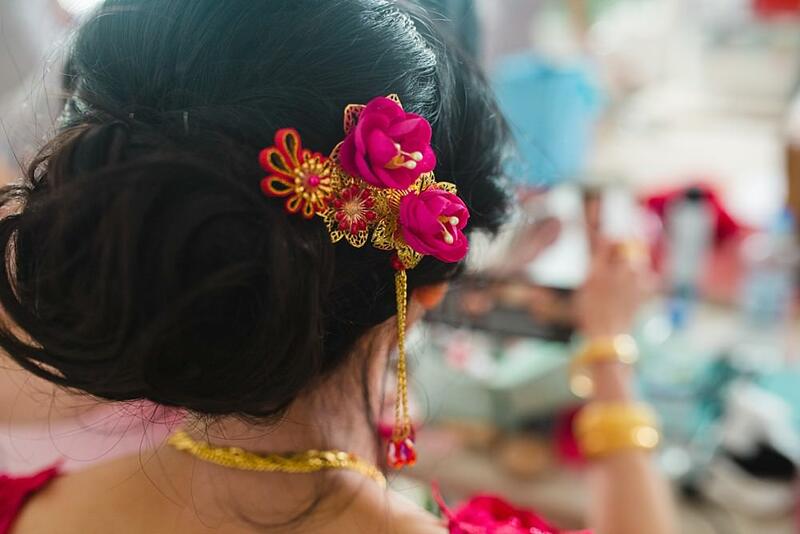 Angela was transformed yet again and wore a beautiful red gown and head piece by Guangzhau Boutique and Ma Jolie Cherie. 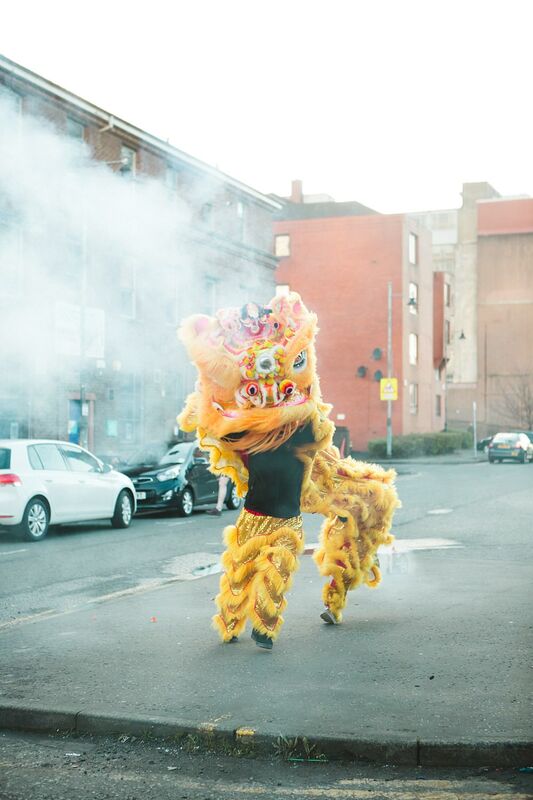 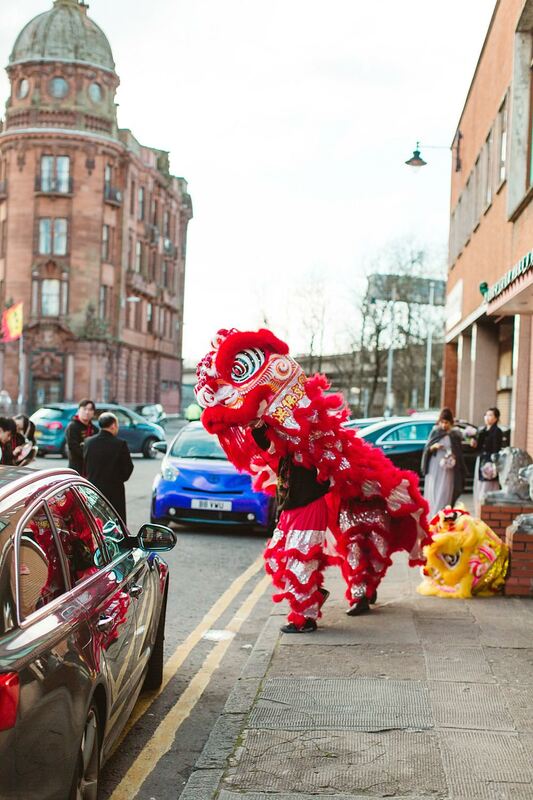 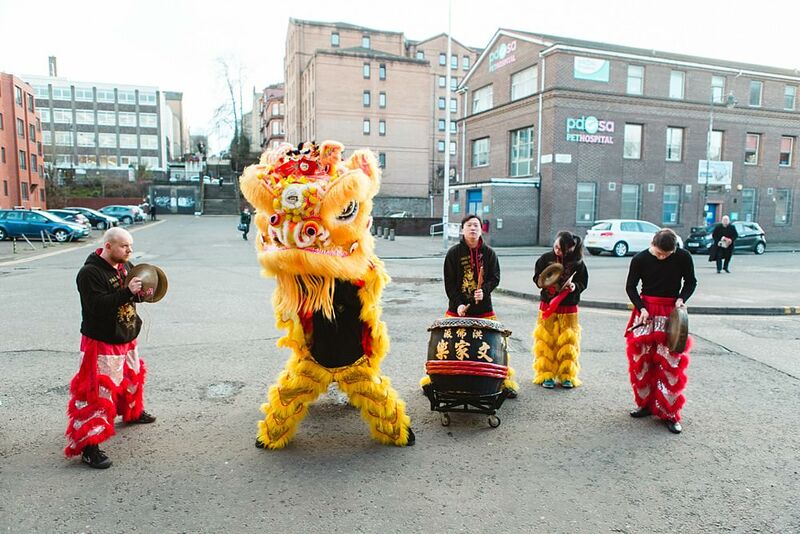 Upon arrival at China town we were all greeted by an amazing lion dance to set off this part of the days festivities! 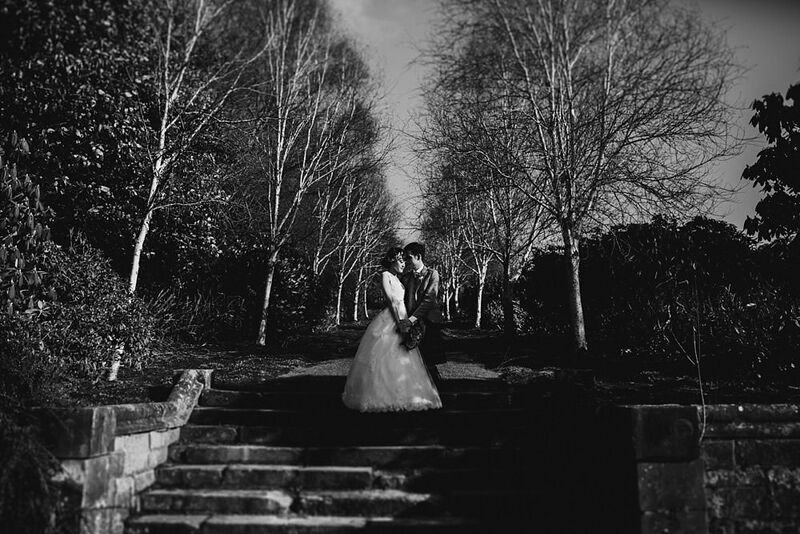 What an amazing day for them. 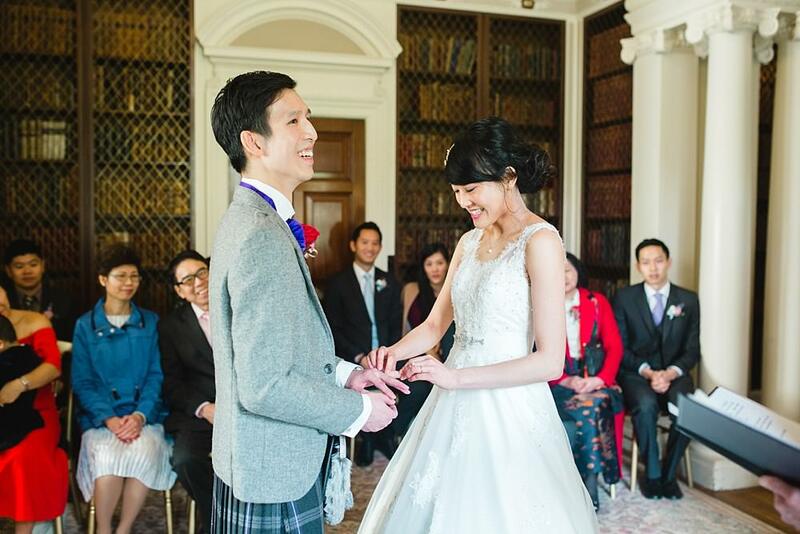 Wishing you both a lifetime of joy and happiness.